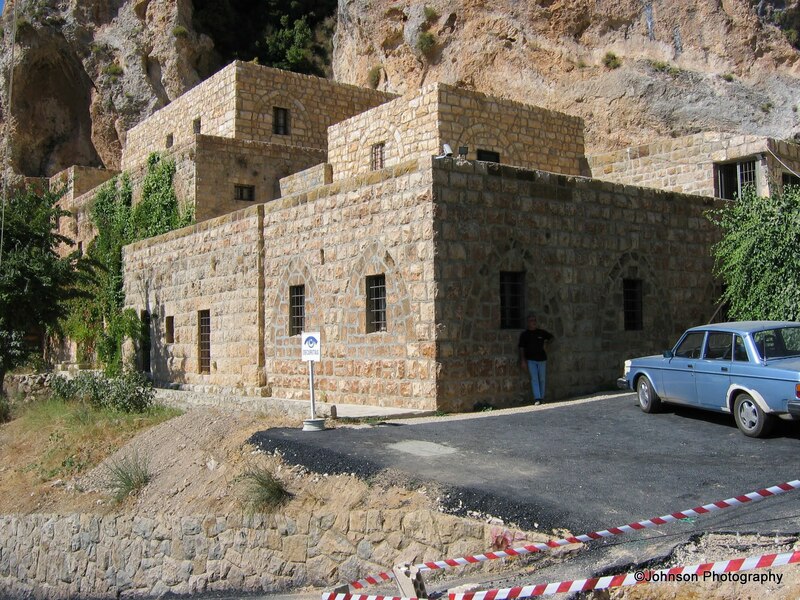 The Qadisha grotto lies on the main road between the Cedar forest and Bcharre. 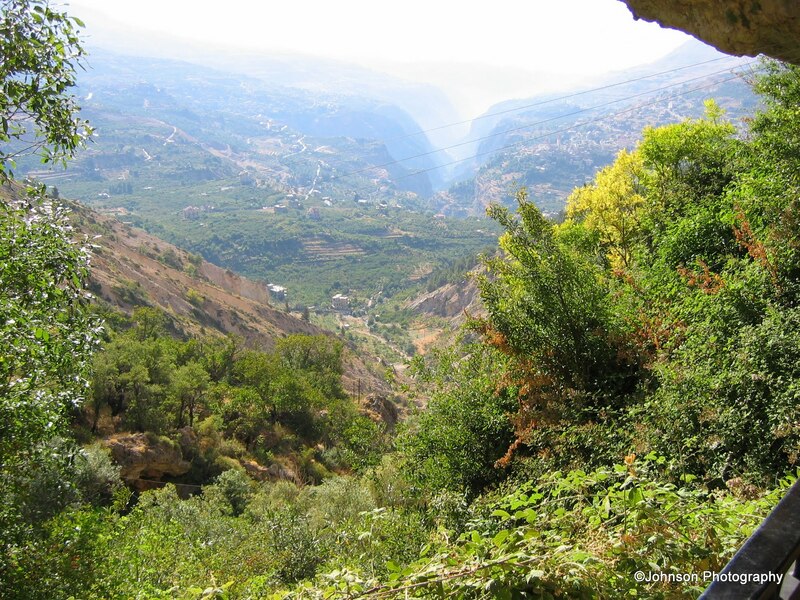 This 778-metre long grotto is the source of the River Qadisha. 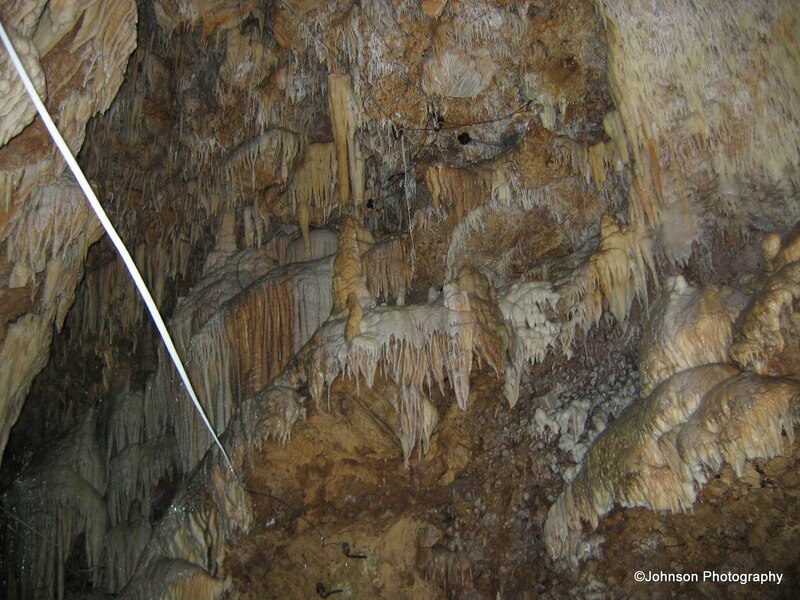 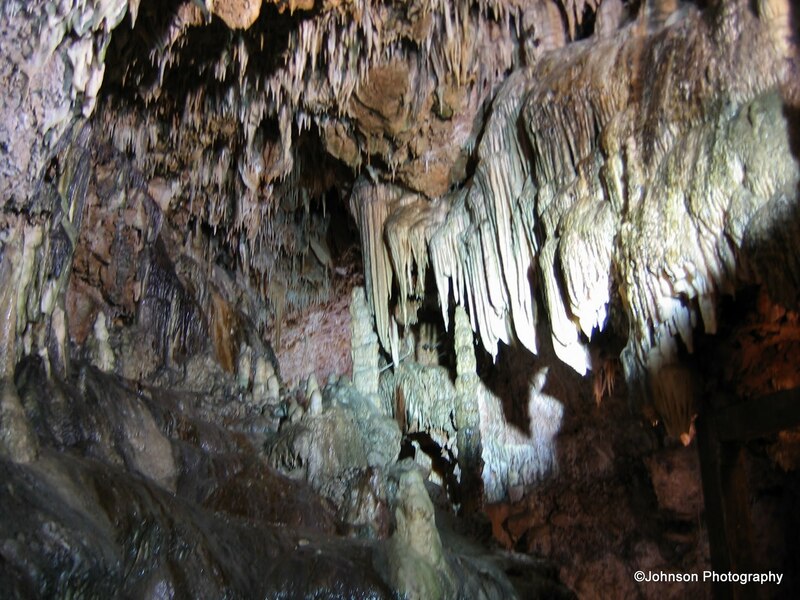 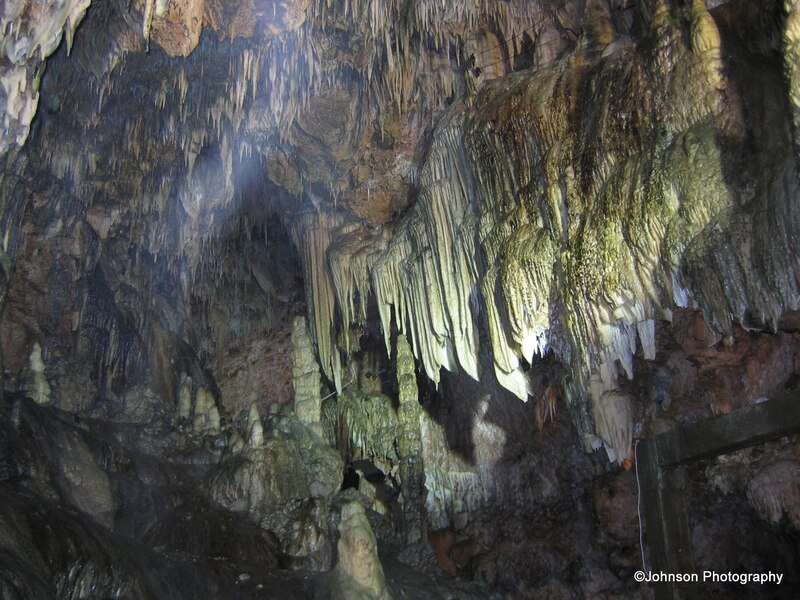 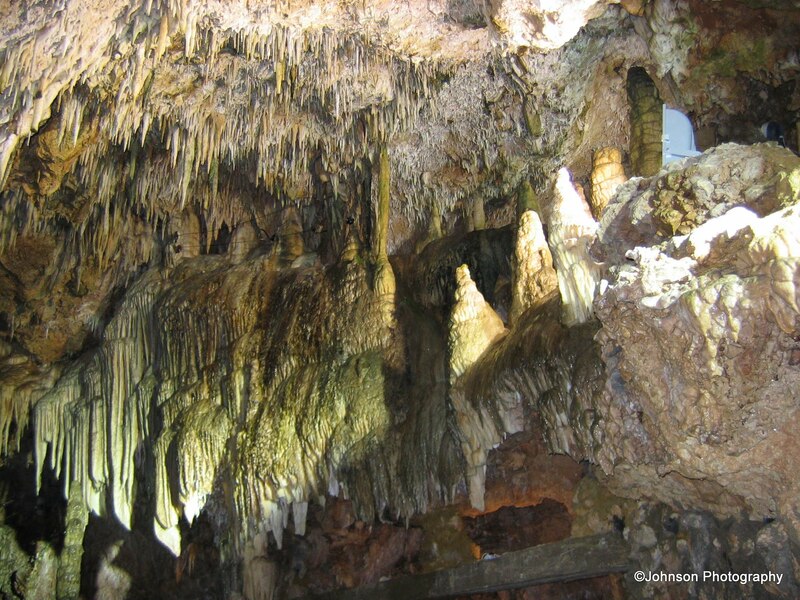 The natural stalactite and stalagmite formations in dazzling colours are a sight to behold. 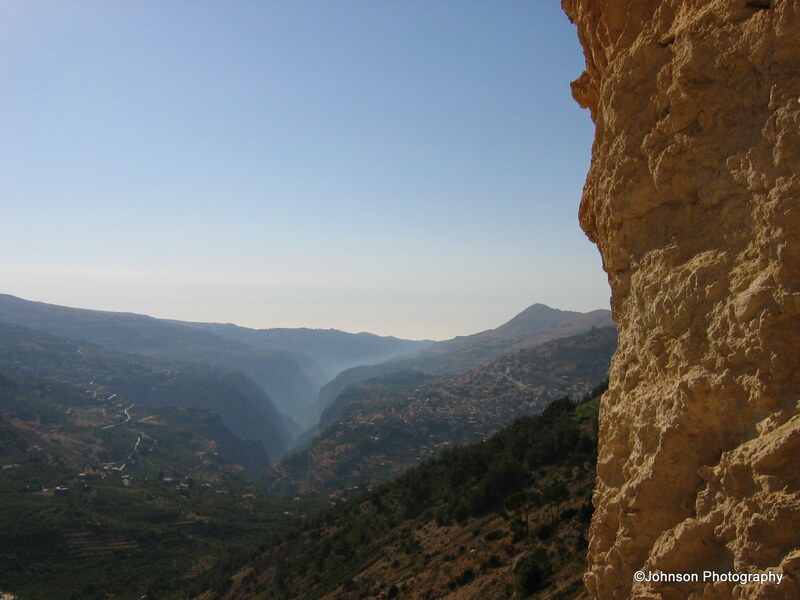 From the grotto, one could see the Qadisha Valley or Wadi Qadisha, as it is more popularly known. 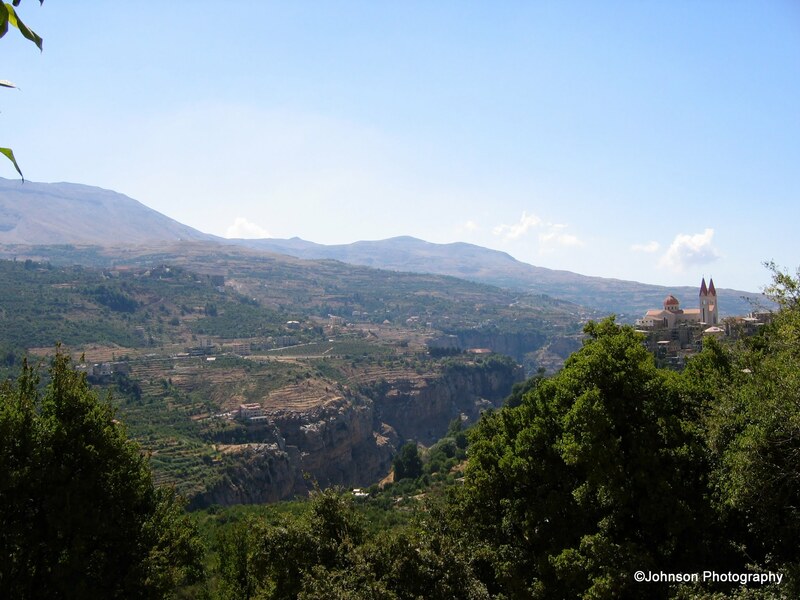 Qadisha means ‘holy’ in Aramaic and the valley is also sometimes called the Holy Valley. 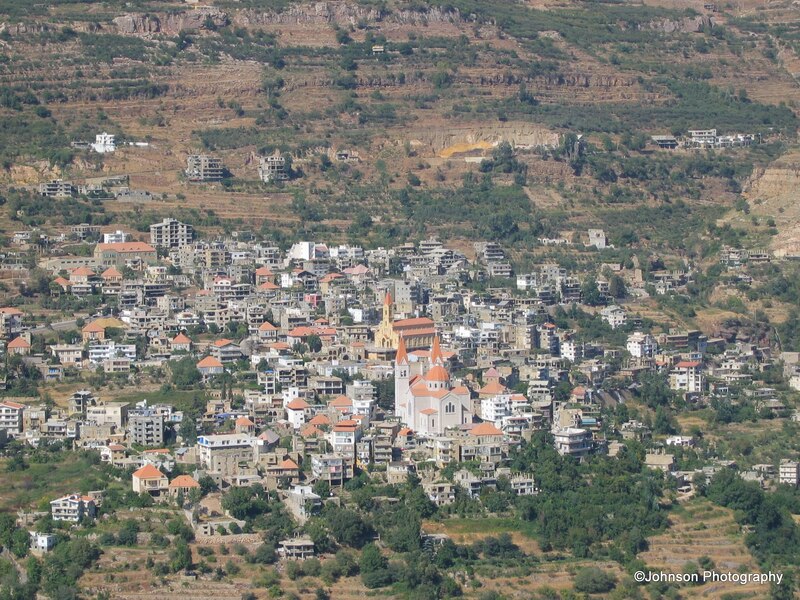 Bcharre, pronounced as Sharr-i, in ancient times was a Phoenician settlement. 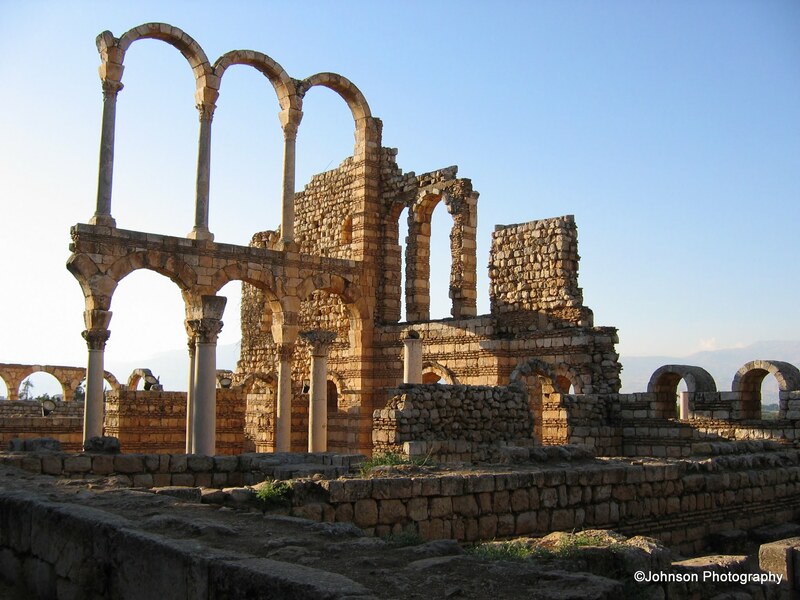 Later in the 7th century AD, it became the refuge of Maronite Christians fleeing persecution. 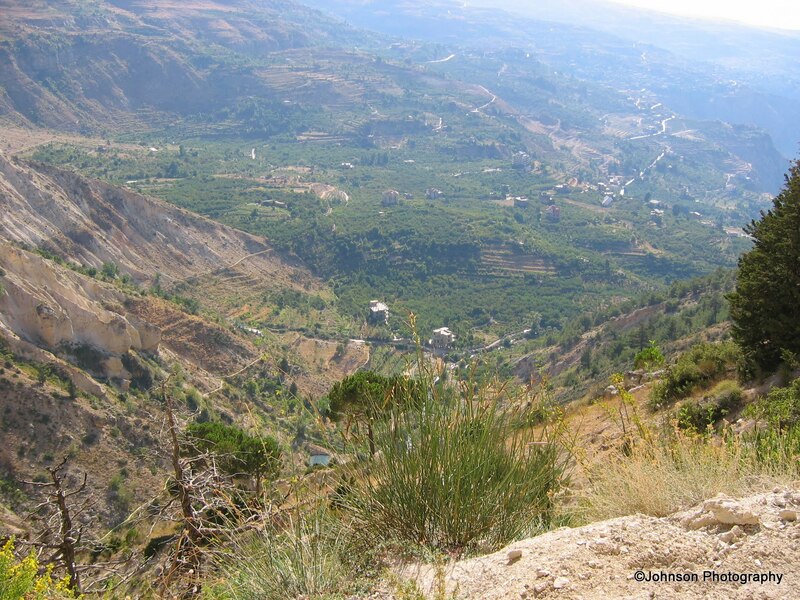 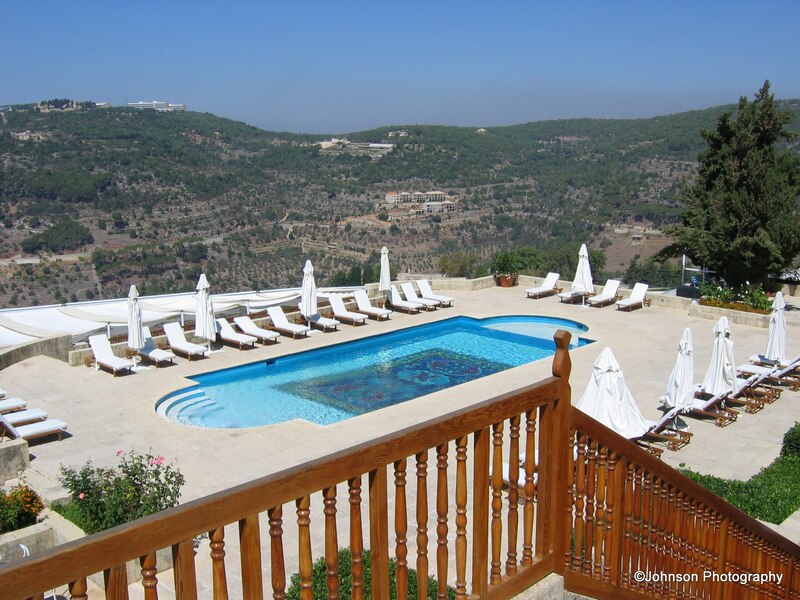 Bcharre is known to the world as the birthplace of the famous writer and poet, Kahlil Gibran. 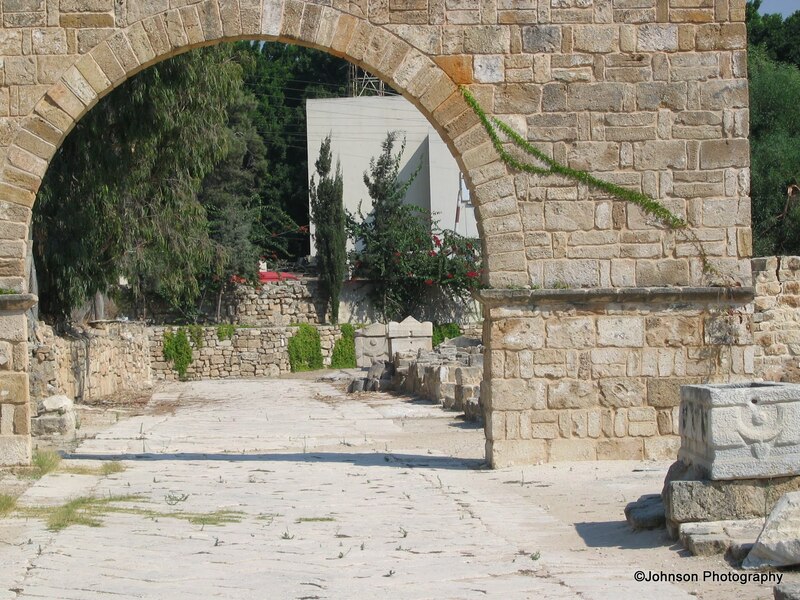 He is especially remembered for the book ‘The Prophet’. 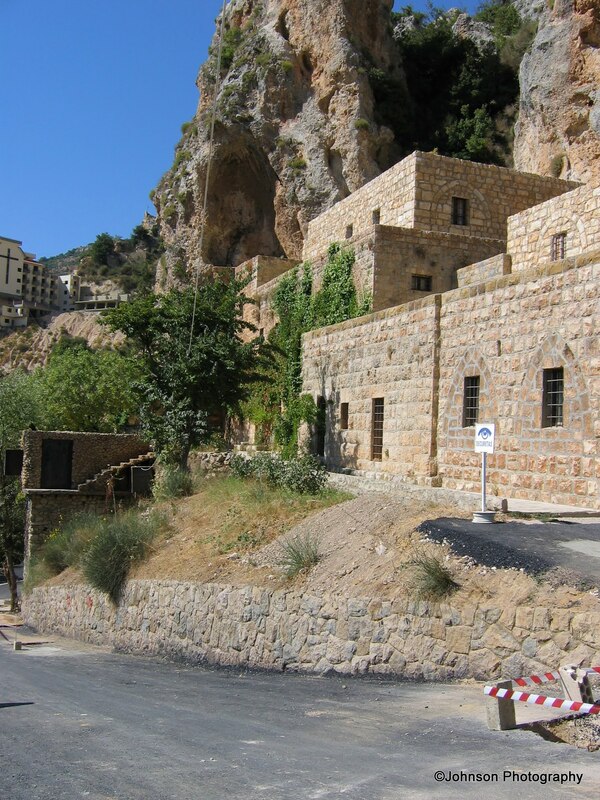 Today, the town of Bcharre also has a Gibran Museum which contains the works of the Lebanese writer. 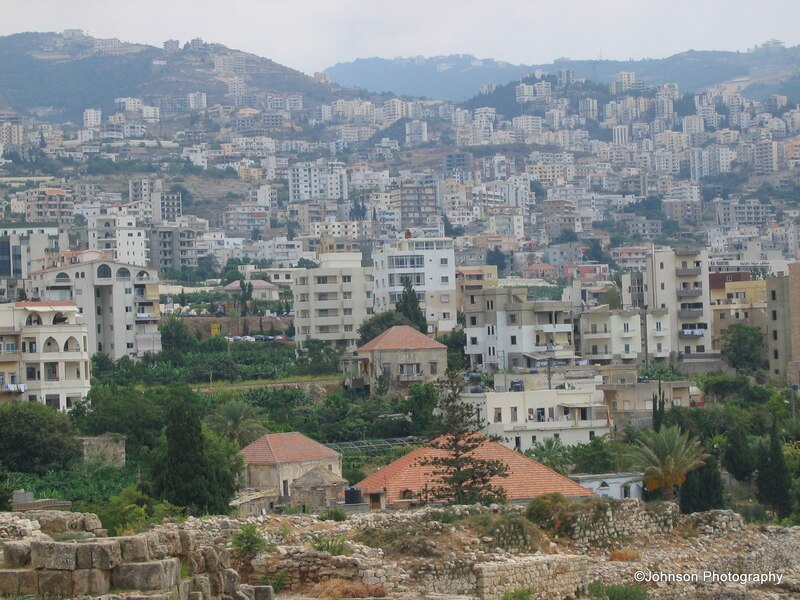 I would like to express my special thanks to my friend Zaher Joumblat for making this visit a reality. 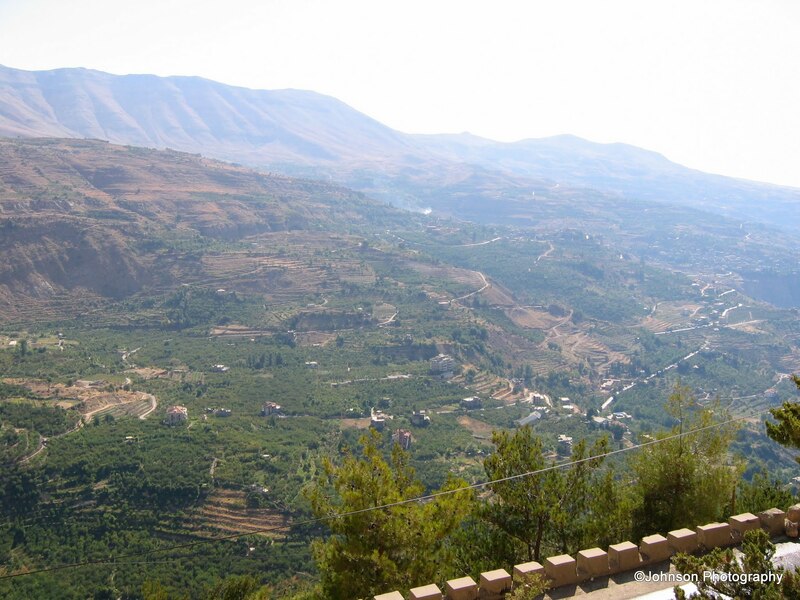 His hospitality and effort to show me around his country is much appreciated and will always be cherished. 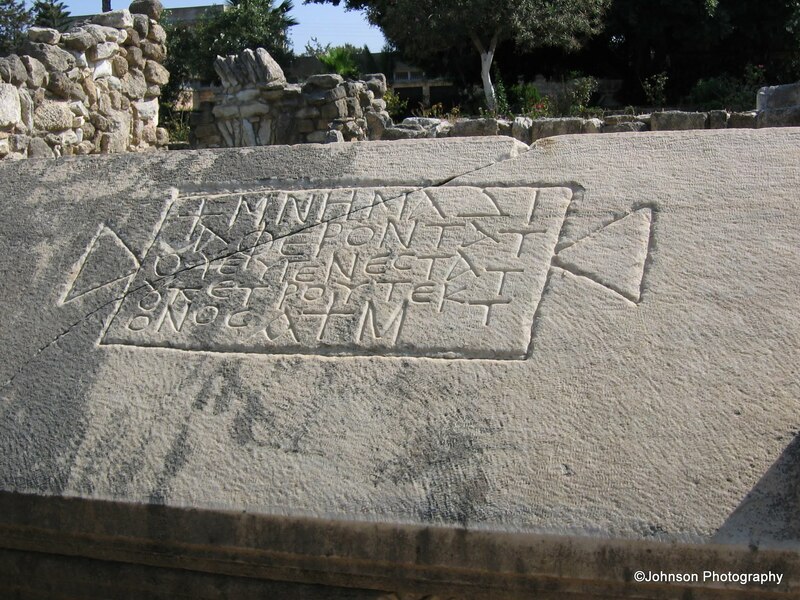 Especially, the journey we took to explore Hiram’s tomb and Noah’s tomb which were very difficult to locate. 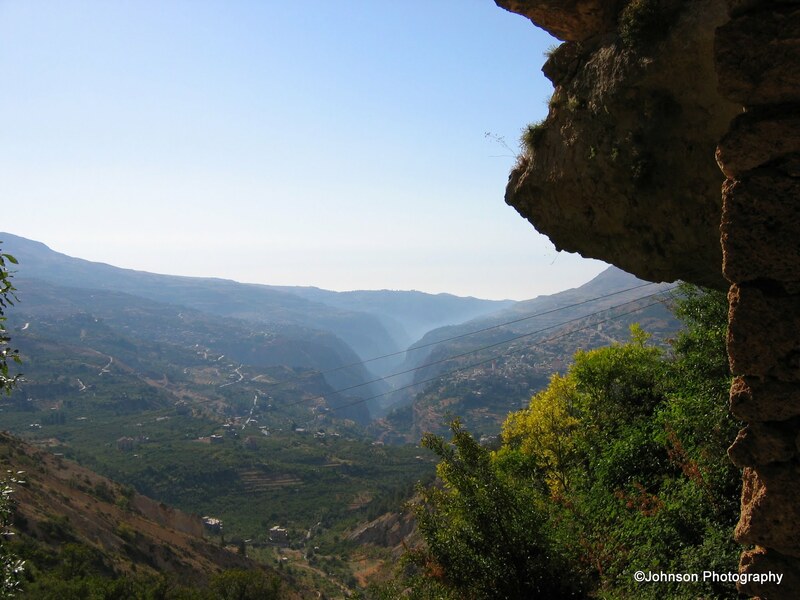 It was just one of the many adventures we had in Lebanon. 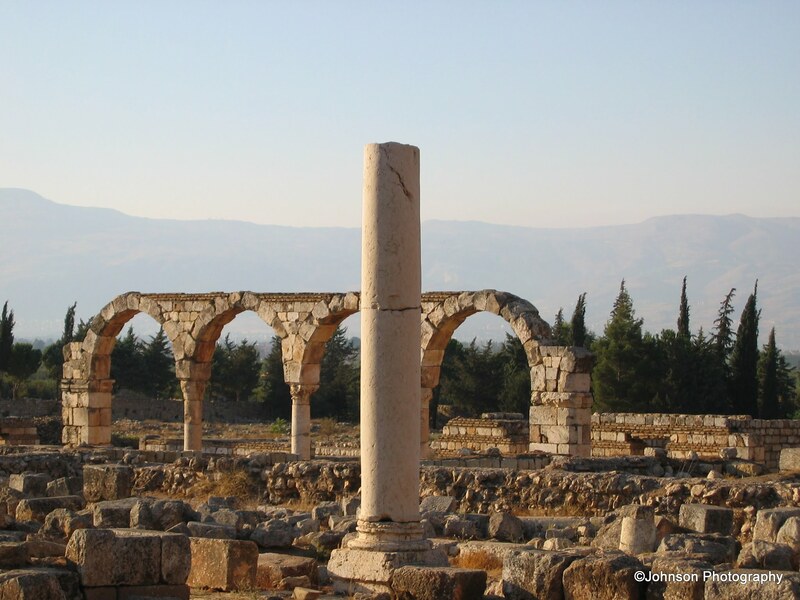 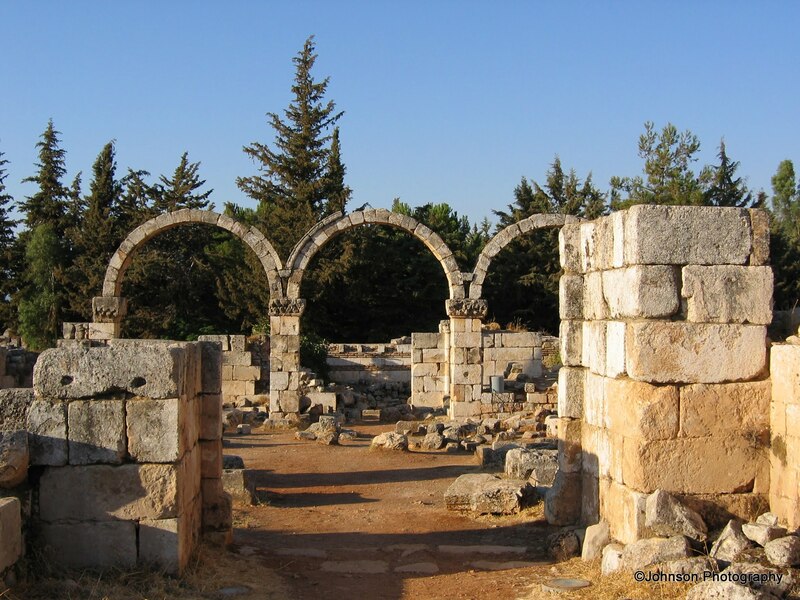 Caliph Walid II of the Umayyad Islamic dynasty, founded the city of Anjar in the 8th century. 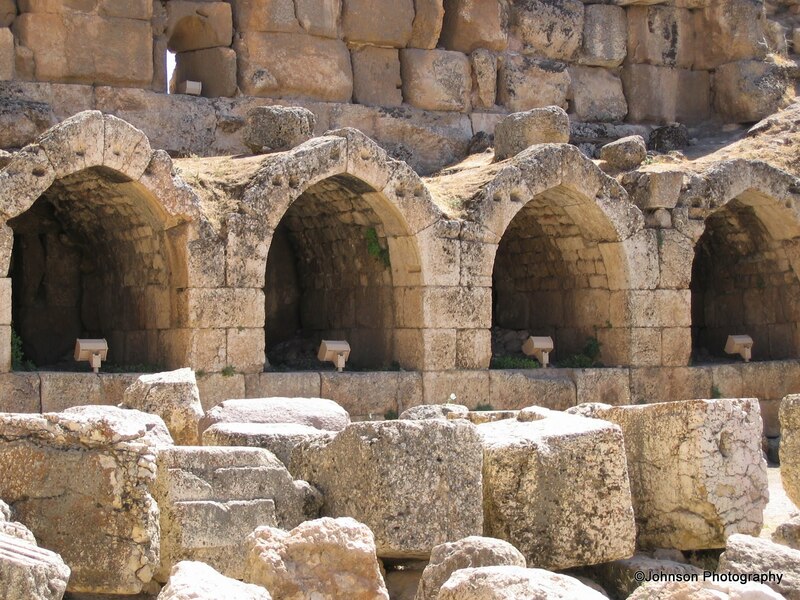 It was a commercial centre which fell on two important trade routes – one leading from Beirut to Damascus and the other from Homs to Tiberiade. 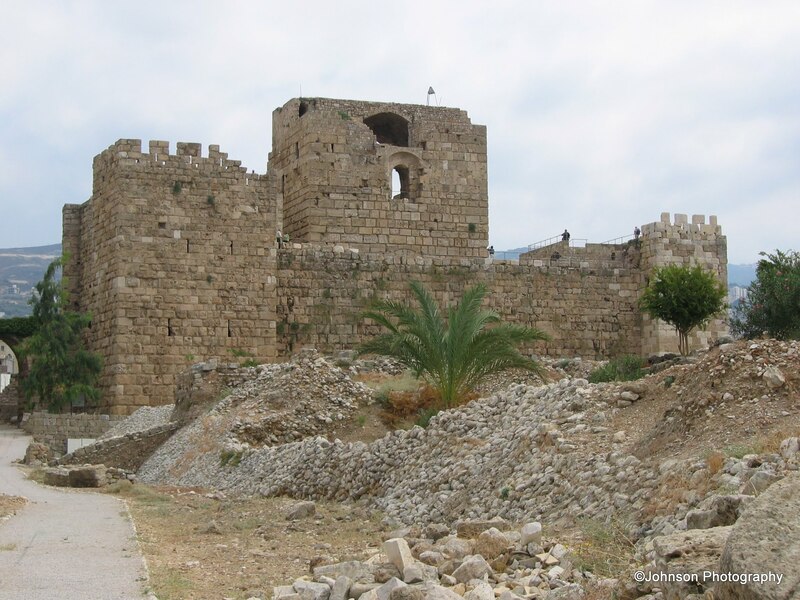 However, the city was destroyed and abandoned soon after, with the defeat of Walid’s son, Caliph Ibrahim. 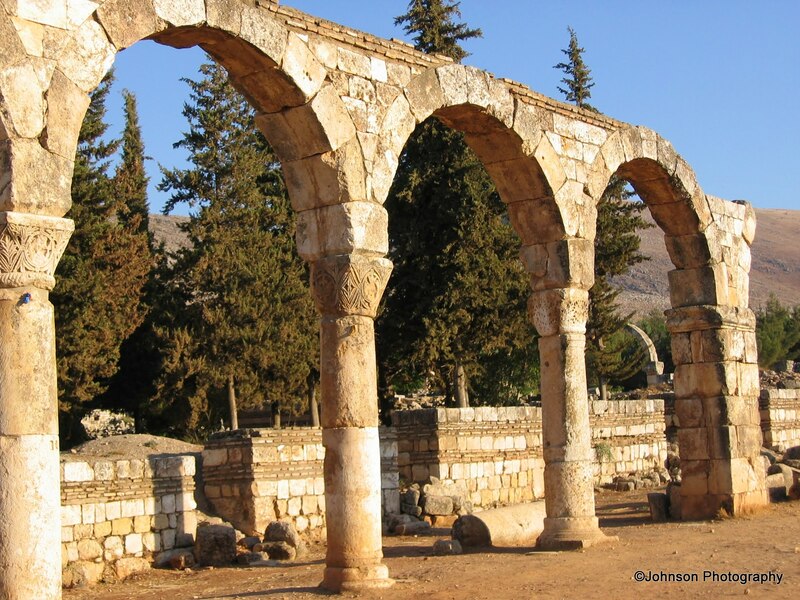 Anjar is a strikingly well-planned city with its rectangular shape, perpendicular streets and alleys that intersect at the city center. 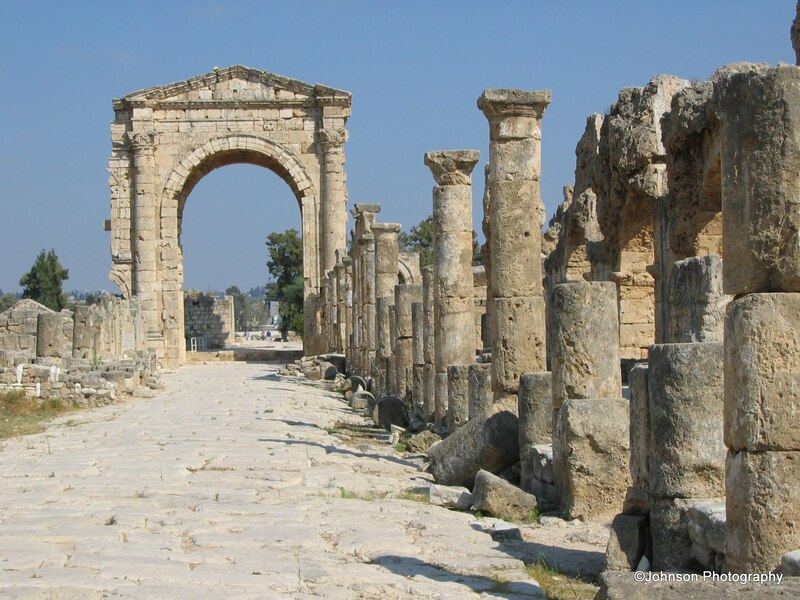 The city is also famous for its numerous hammamet or thermal baths. 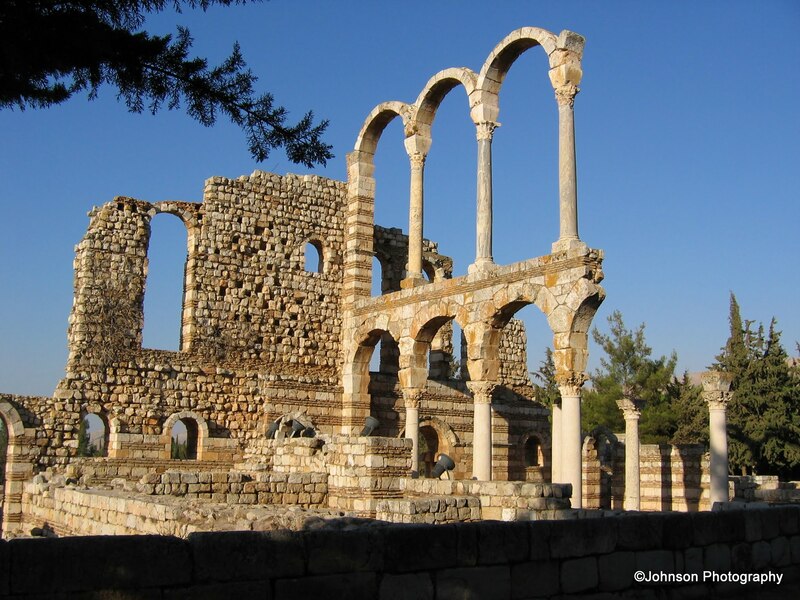 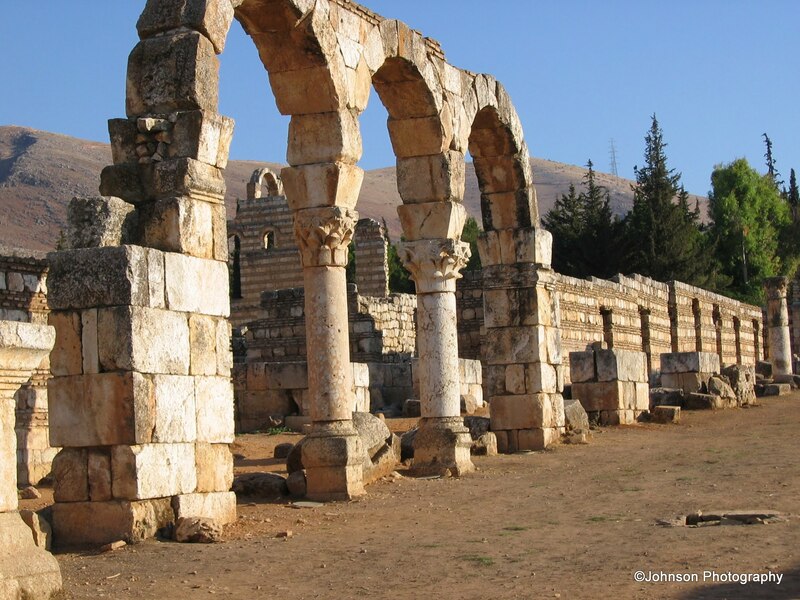 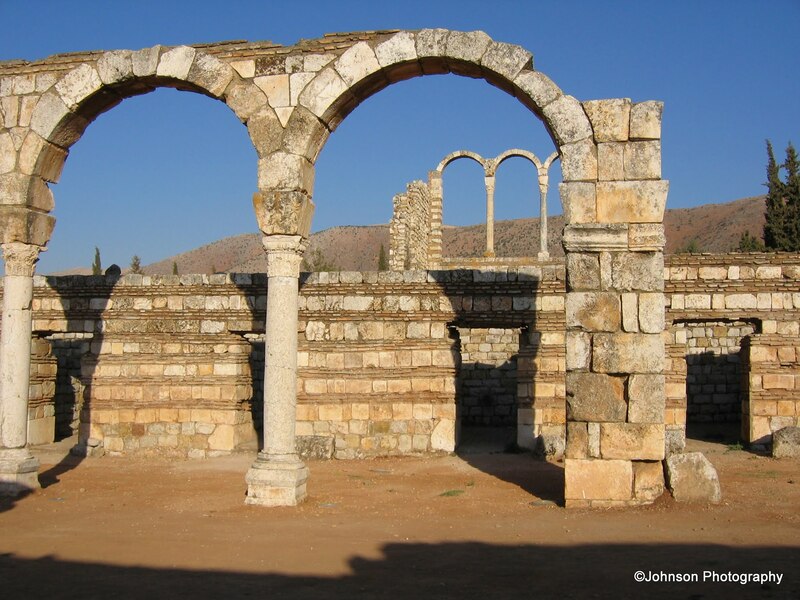 The ruins of the Great Palace of Anjer are a fine example of the Ummayyad era architecture. 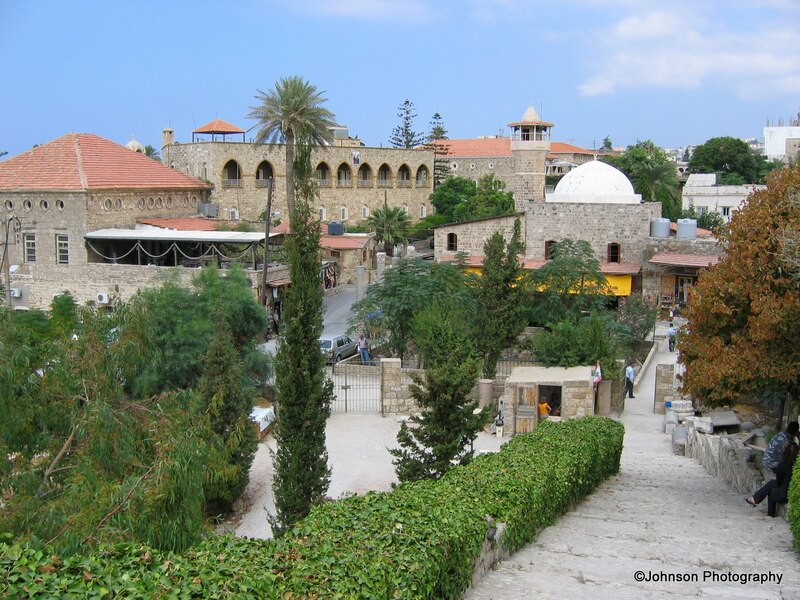 Near to Zahle, in the suburb of Karak Nuh, is a 42 feet long tomb inside the local mosque, believed to be of Noah. 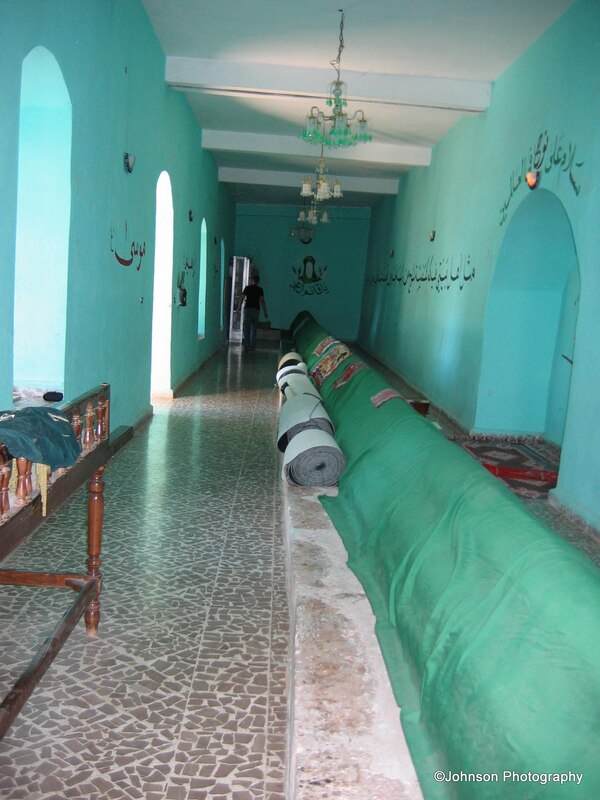 The keeper of the mosque claims that the body of Noah was much longer than 42 feet and they had to bend his knees to fit him in. 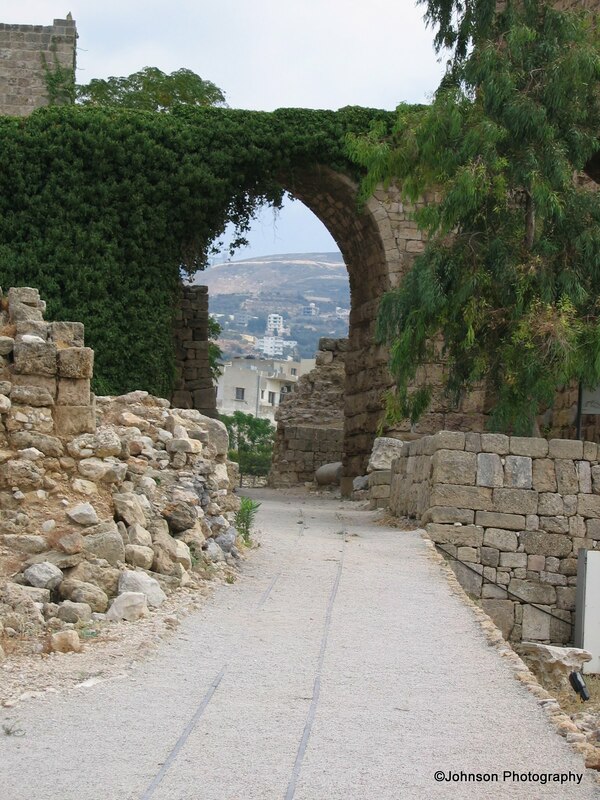 Byblos, earlier known as Gebal, is believed to be the oldest of all Phoenician cities. 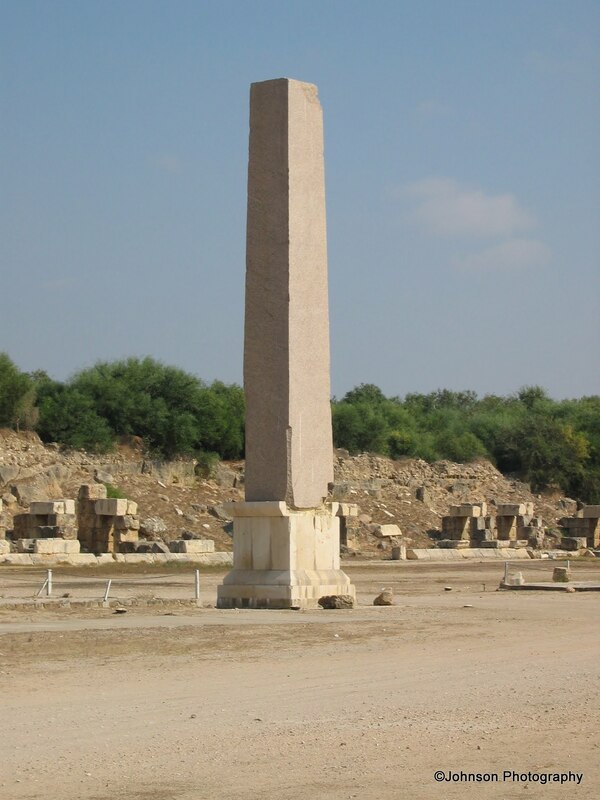 It served as the major port for the export of cedar wood, papyrus and other goods to Egypt. 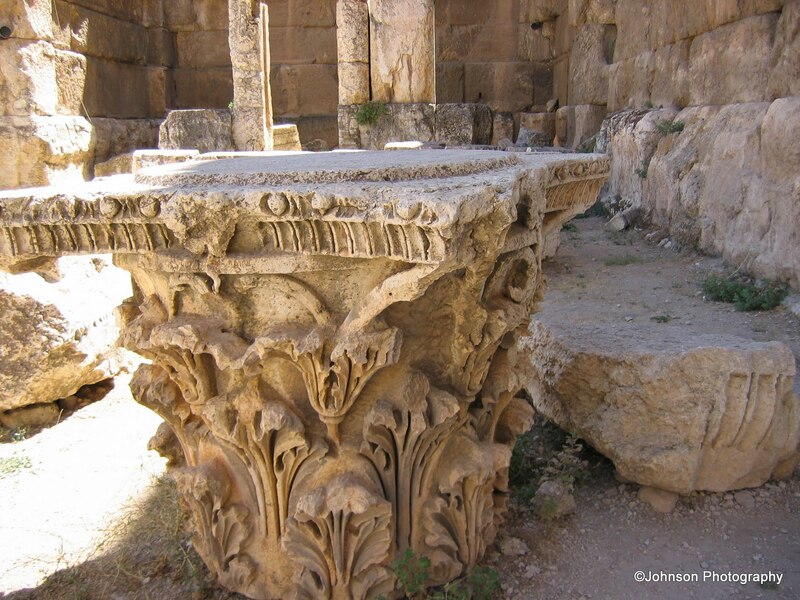 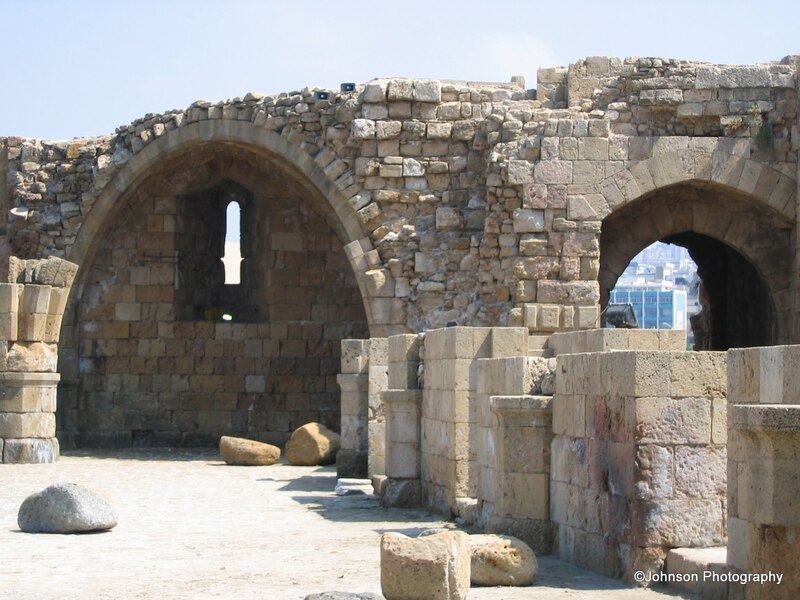 The ruins of the city of Byblos has always interested archaeologists because of the successive layers of debris from the centuries of human habitation. 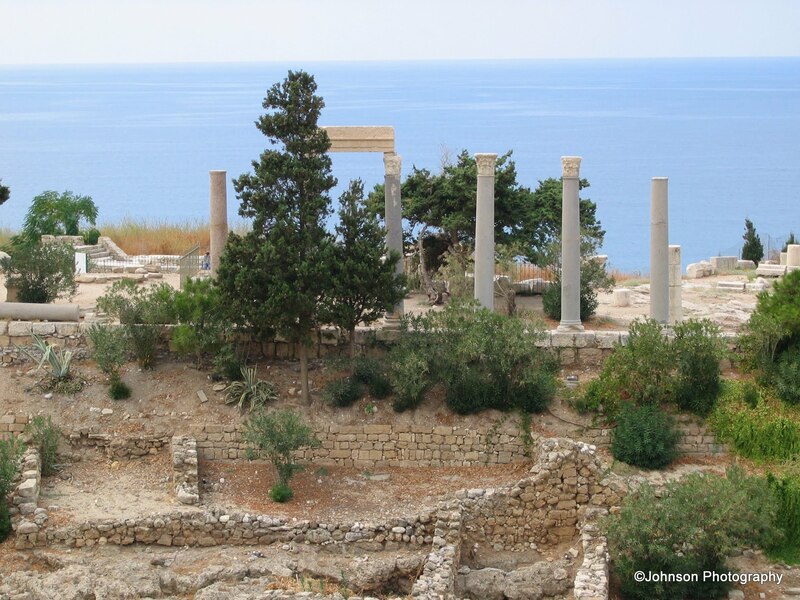 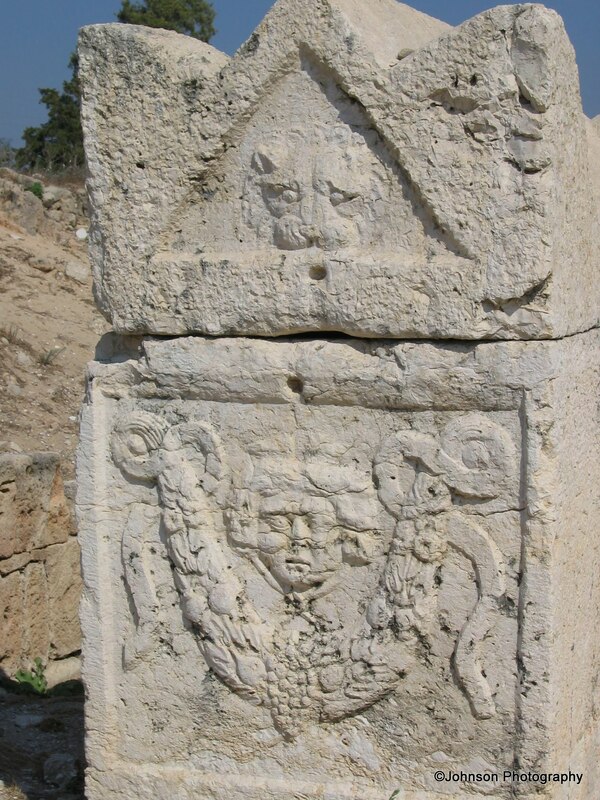 The remains of the Great Temple, Temple of Baalat Gebal and others scattered across the archaeological site of Byblos are from the Phoenician period and are as old as 2700 BC. 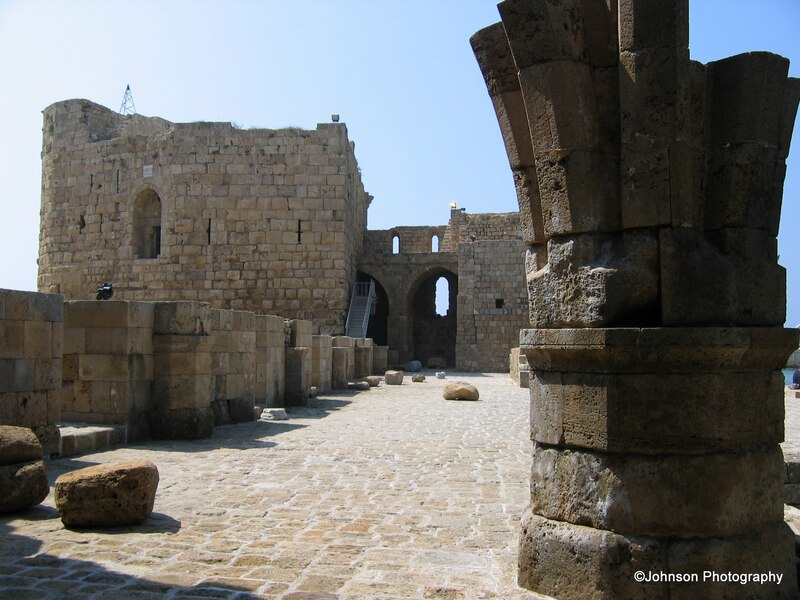 The Byblos castle, made of limestone, was built on the remains of Roman structures by the Crusaders in the 12th century. 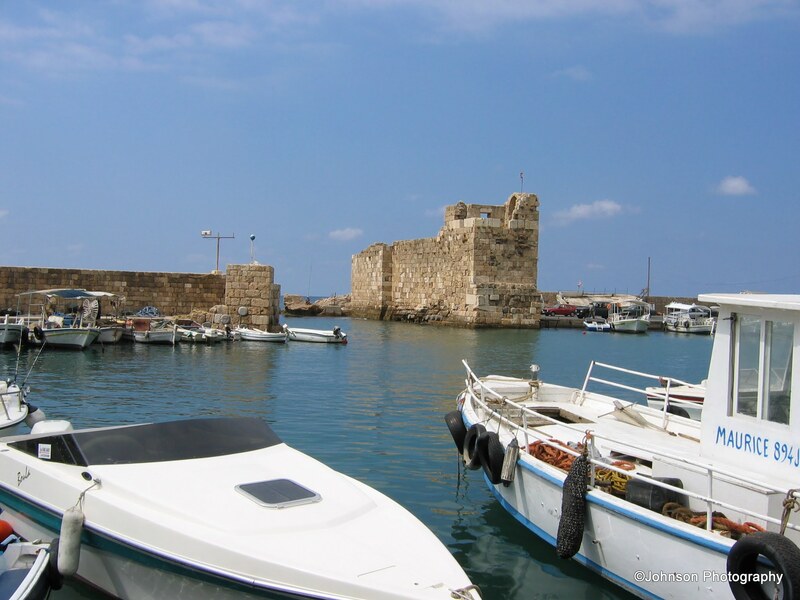 Today, Byblos or Jbeil is a very modern city and a popular tourist attraction in the Mediterranean. 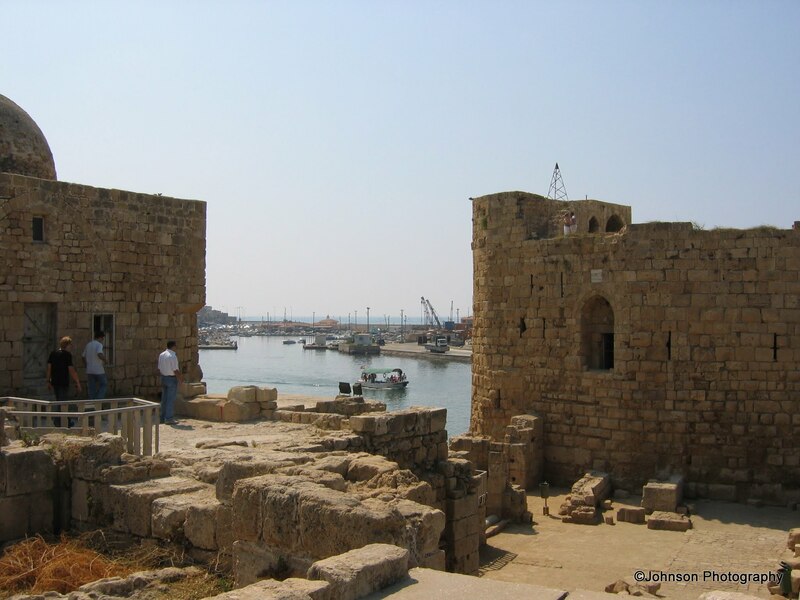 Sidon is another ancient Phoenician city which was founded in the 3rd millennium BC and it is the third largest city of Lebanon. 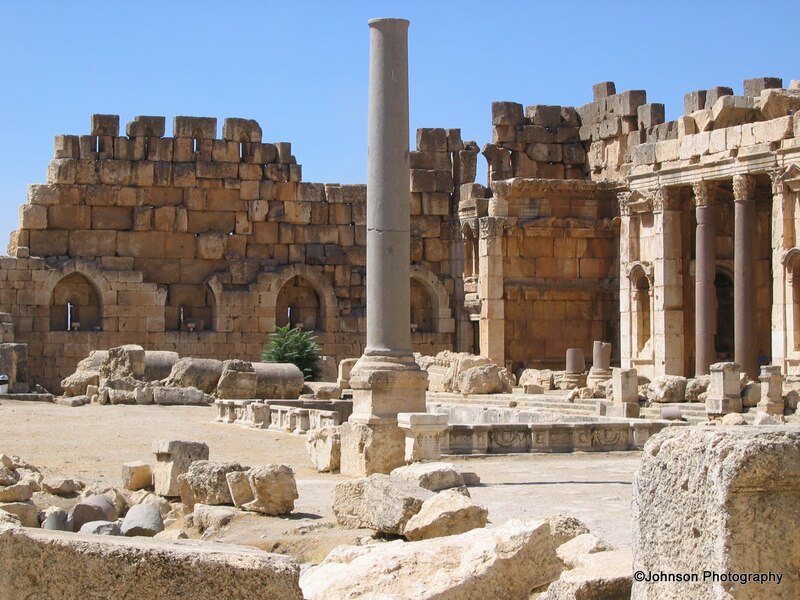 Like other Phoenician city-states, Sidon also saw a succession of rulers like Babylonians, Greeks, Romans, Arabs and Ottoman Turks. 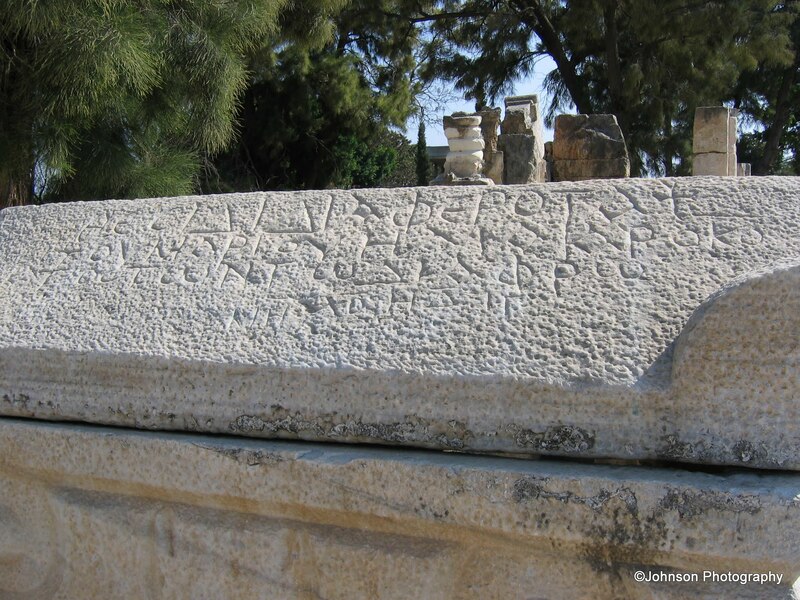 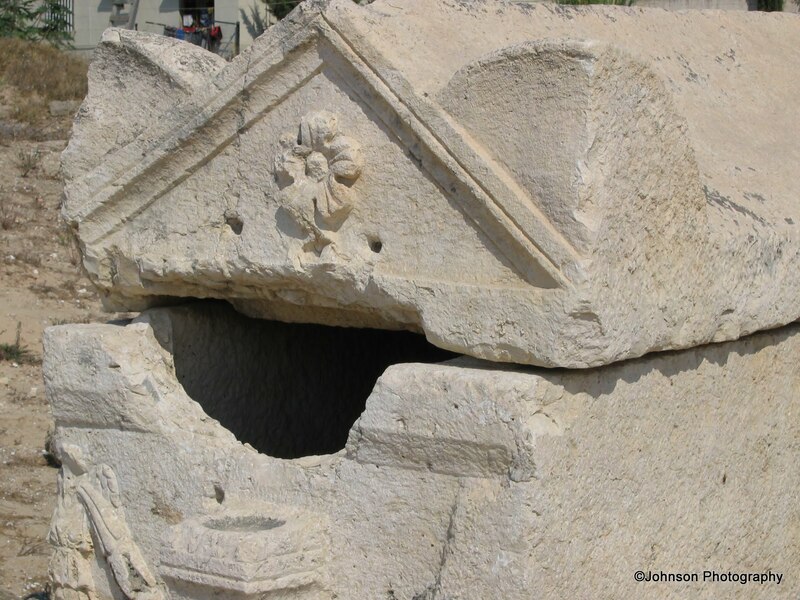 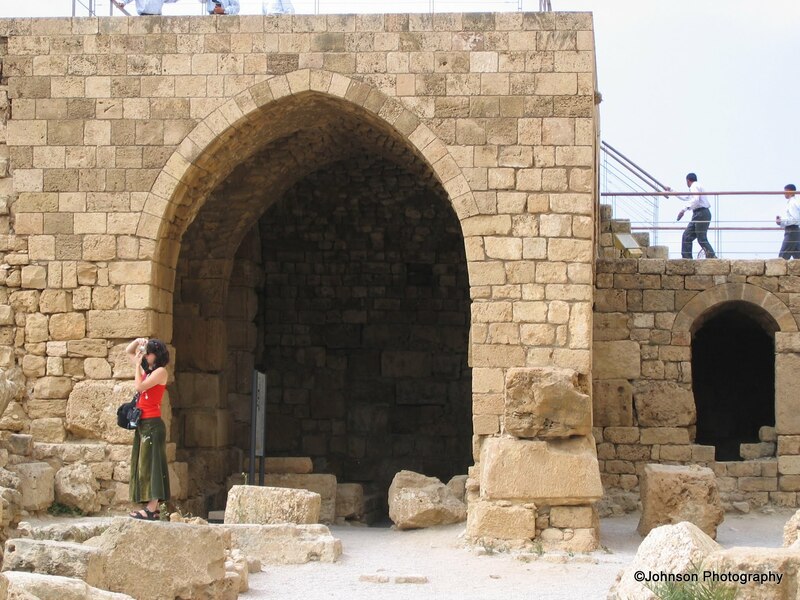 Accordingly, the monuments and architecture of Sidon is as varied and rich as its history. 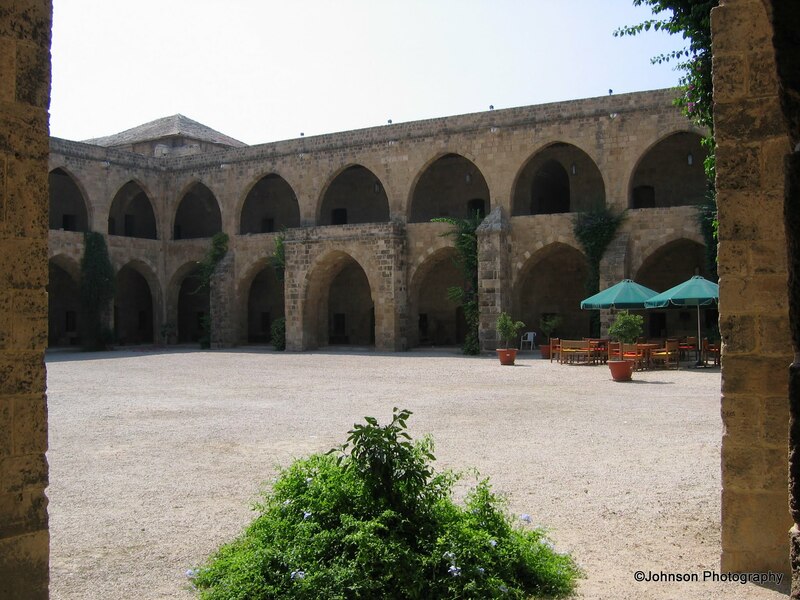 Khan El Franj is a massive monument built by Emir Fakher El Din II in 1610. 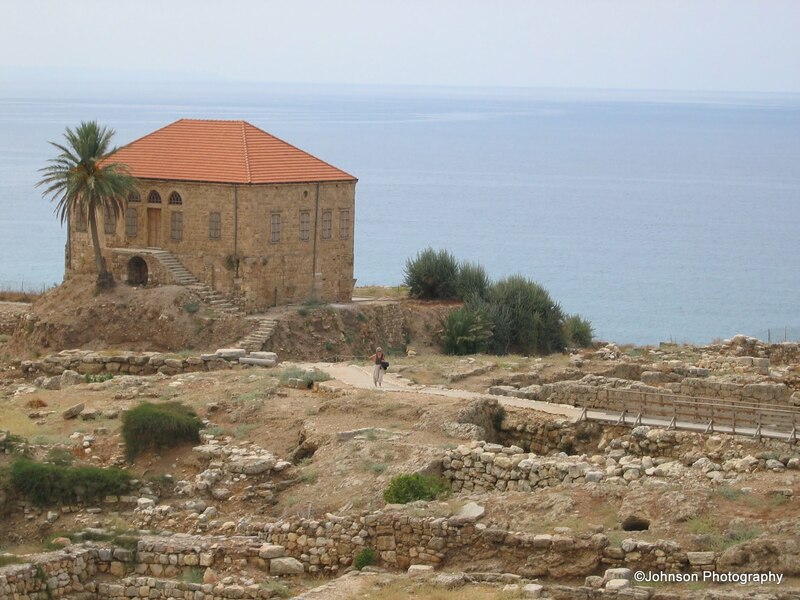 It was built with the view to accommodate French merchants and goods in order to develop trade relations with Europe. 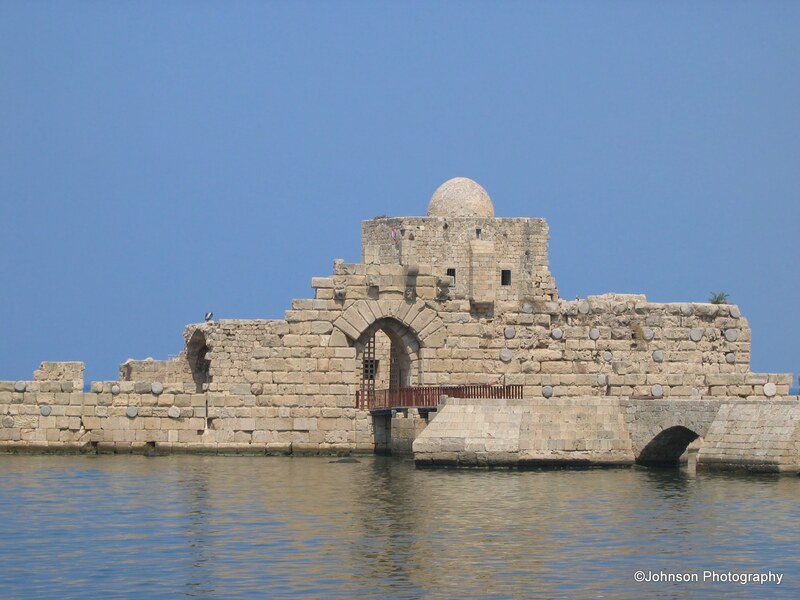 Another main attraction of Sidon is the sea fortress built on a rocky island close to the coast. 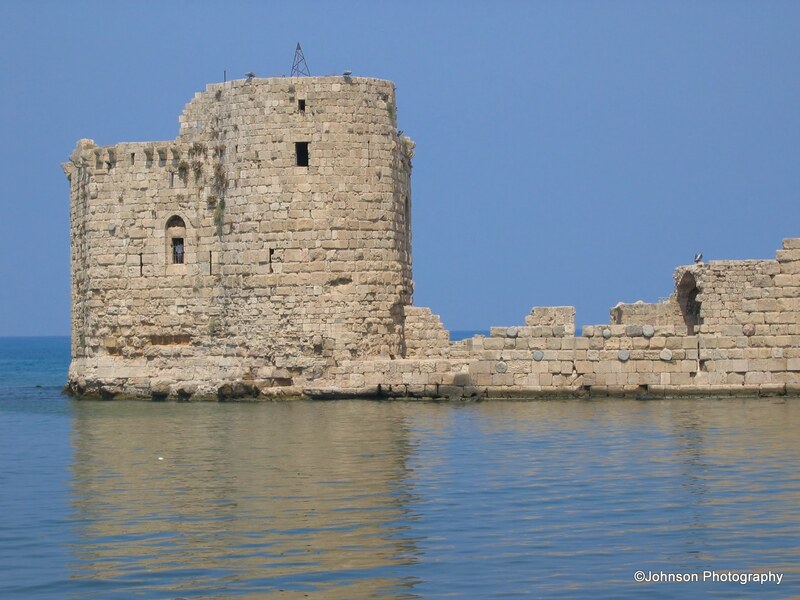 The fortress was constructed by the Crusaders in 1228 on the remains of a Phoenician shrine dedicated to God Melkart. 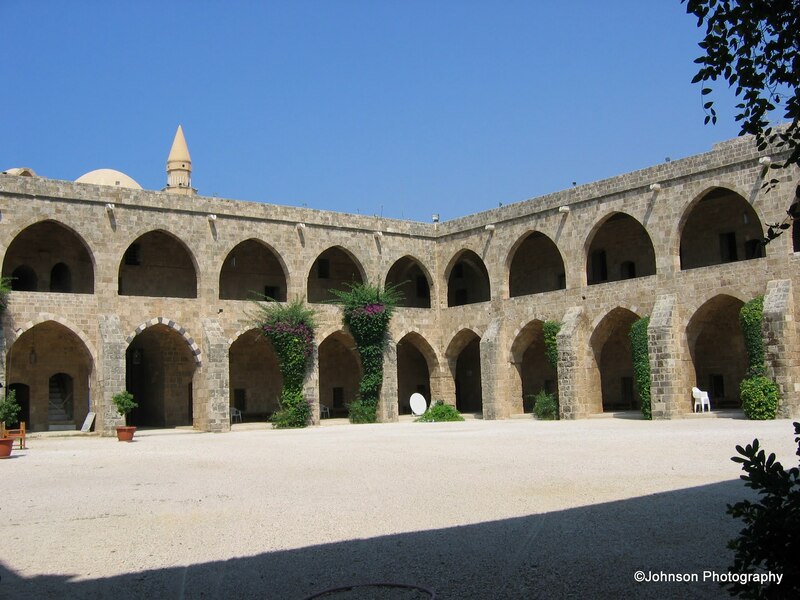 Additionally, it contains a mosque built by Ashraf Khalil Bin Kalawoun and later renovated by Fakher El Din. 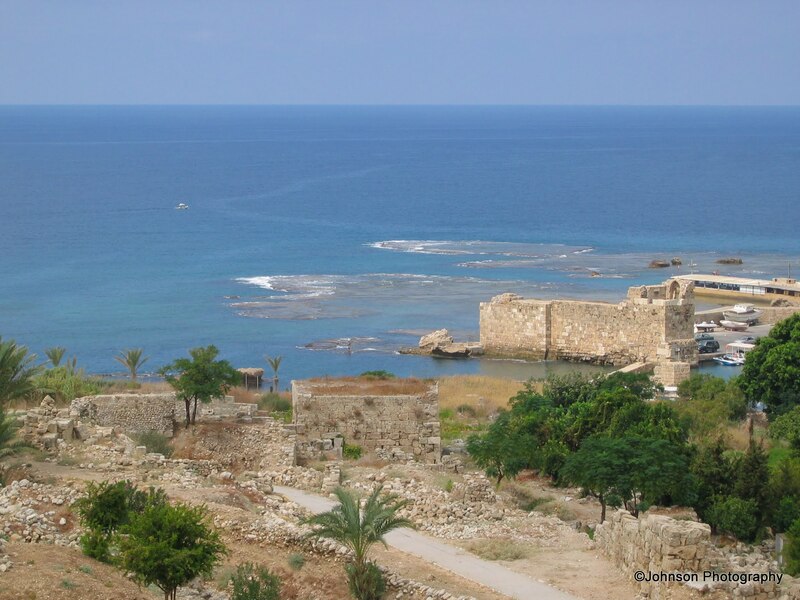 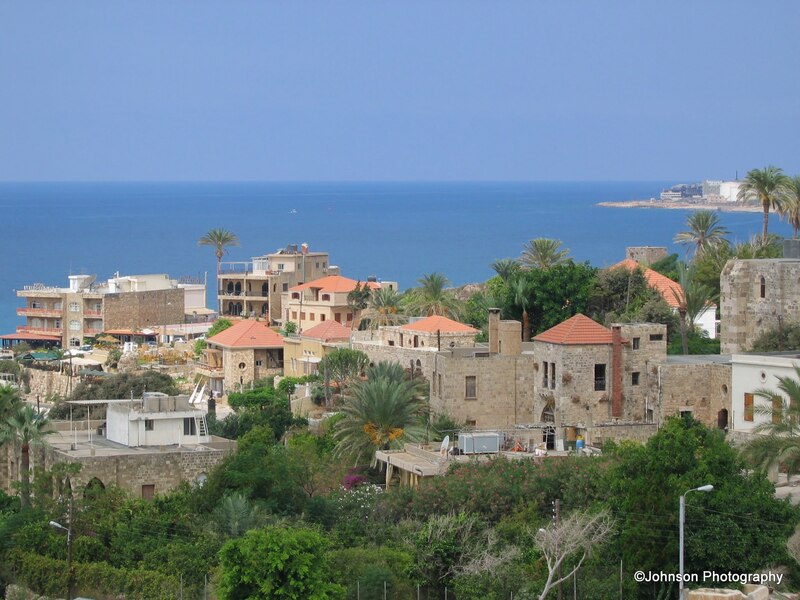 Tyre is a city on the Mediterranean Coast, about 80 km to the south of Beirut. 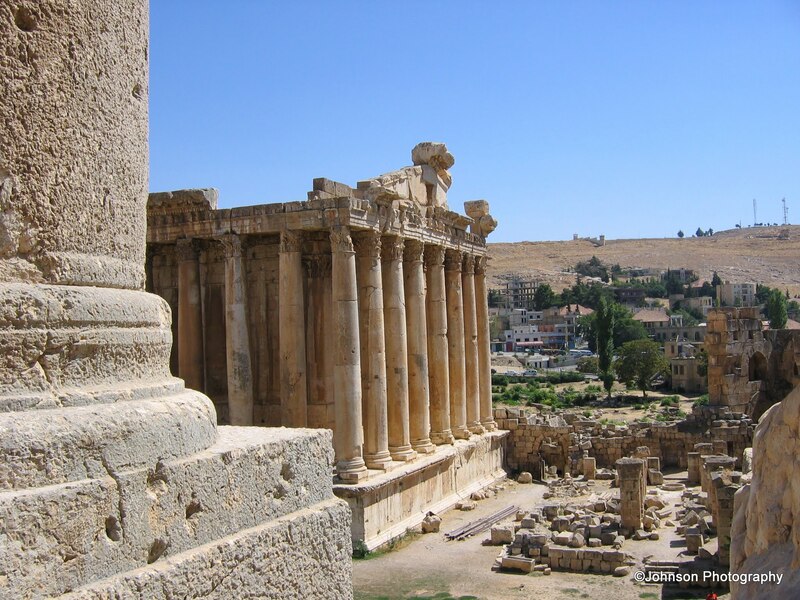 Like Baalbek, it is an ancient Phoenician City. 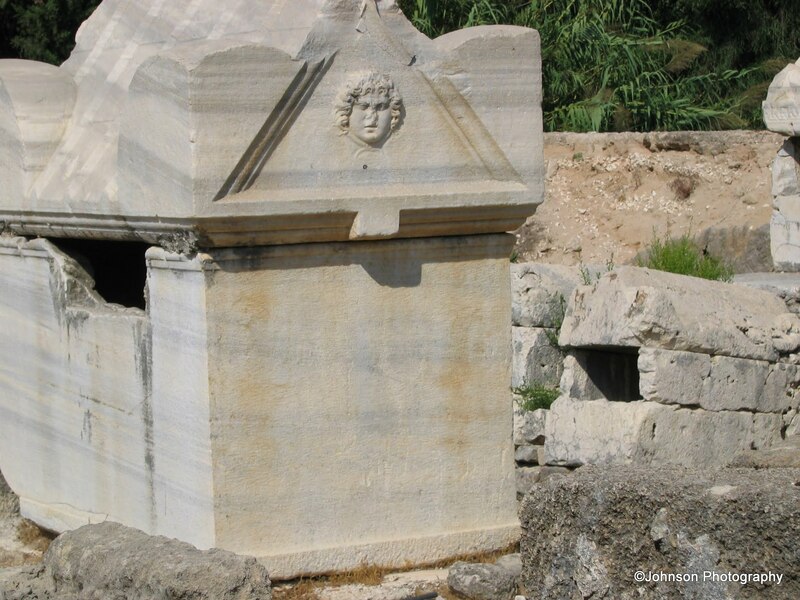 It is believed to be the birthplace of Europa and Dido. 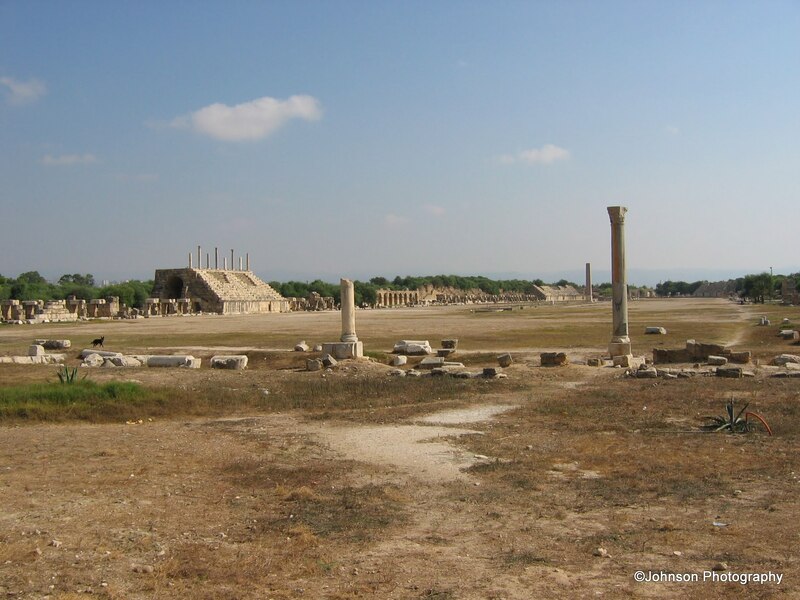 In the 6th century BCE, King Nebuchadnezzar II of Babylon, drawn by the affluence of the city, laid siege to Tyre for thirteen years. 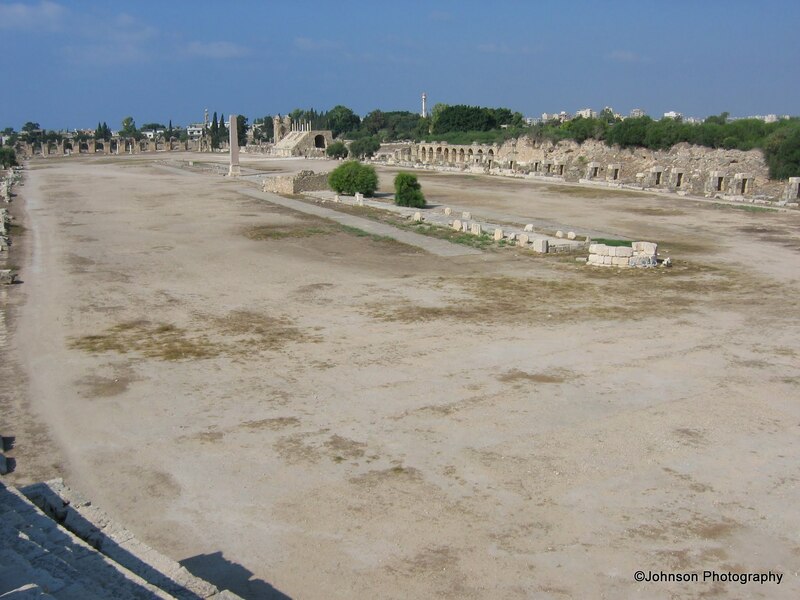 In 332 BCE, a wrathful Alexander the Great laid siege to Tyre for seven months; after which the walls were torn down, the people massacred and the city destroyed. 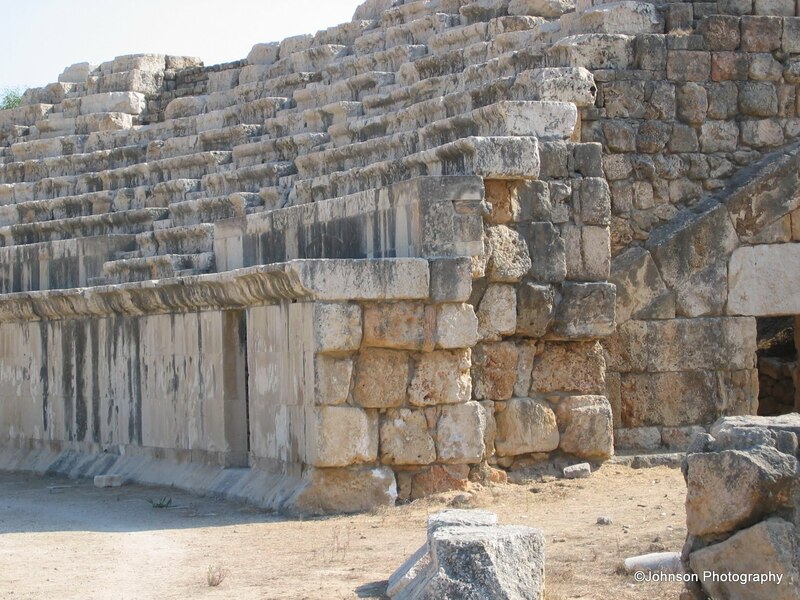 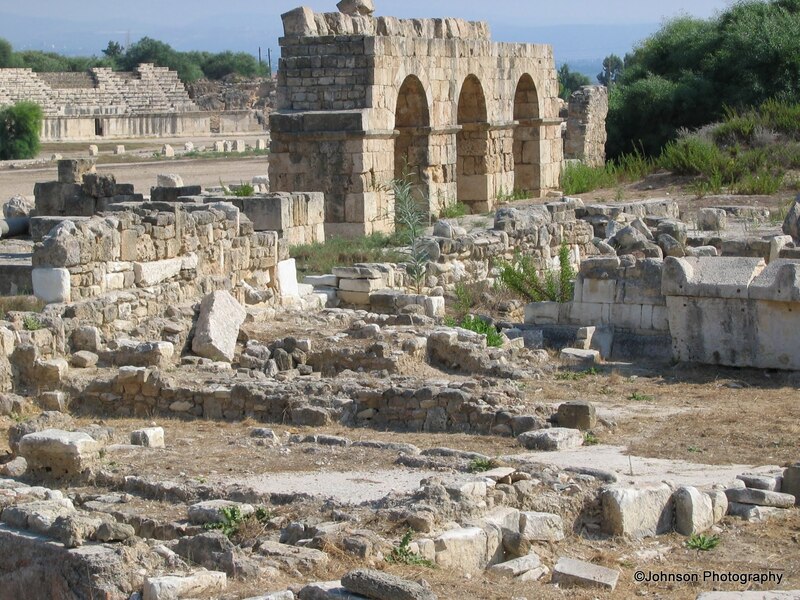 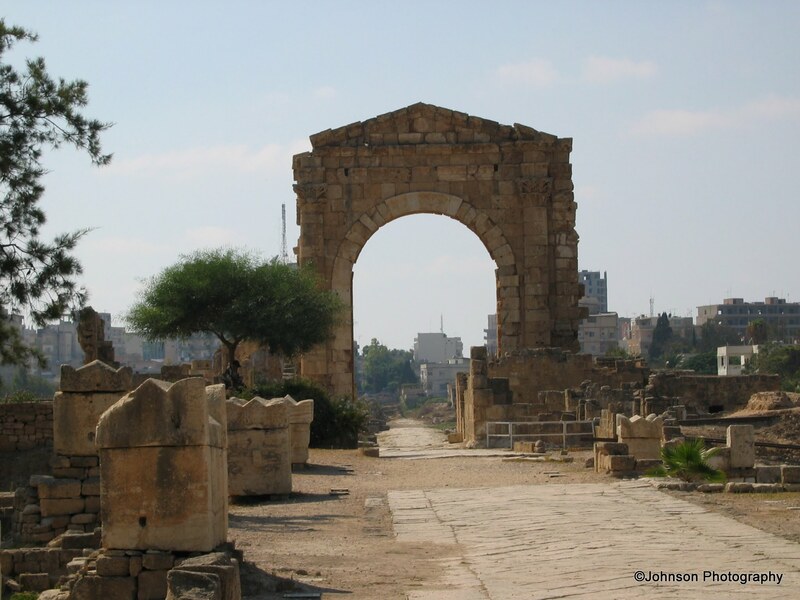 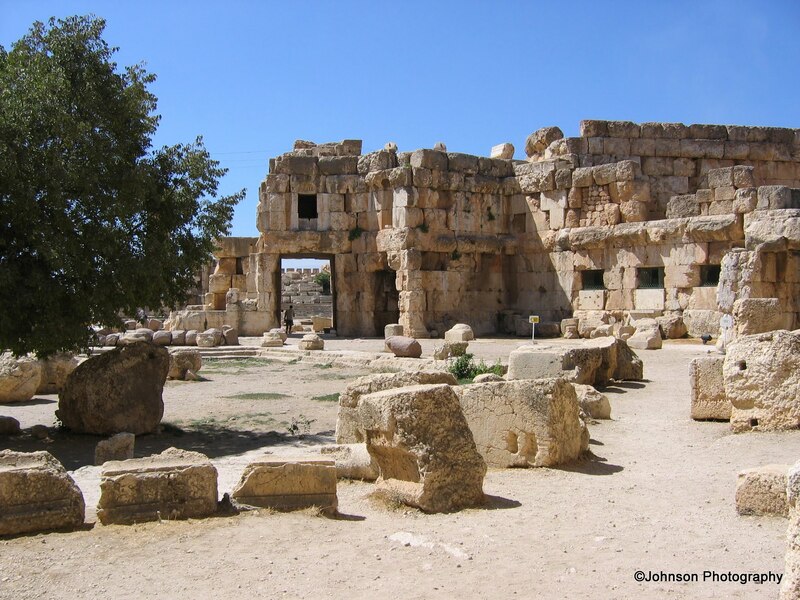 Some of the ruins of the ancient glory of Tyre can be seen in the Triumphal Arch, which is the most preserved of the ruins and the Great Hippodrome, built for chariot racing. 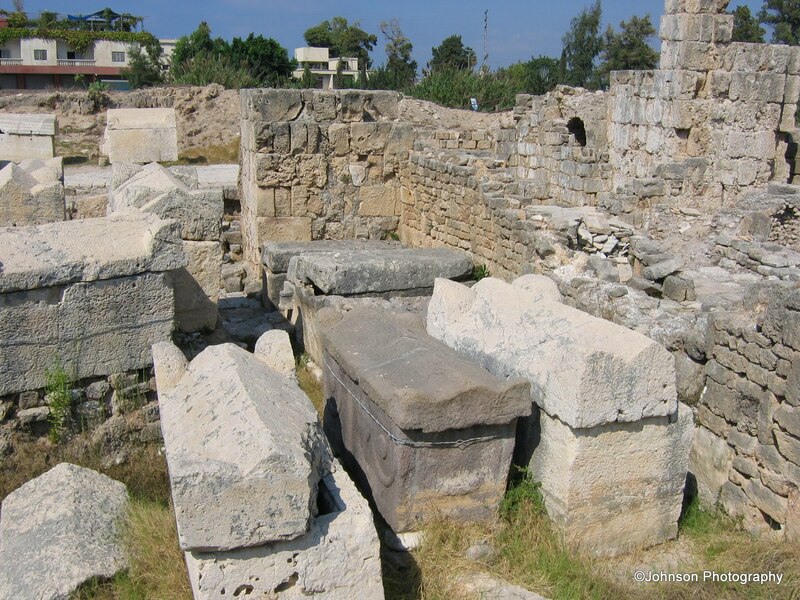 Legend says that the purple dye was first produced here. 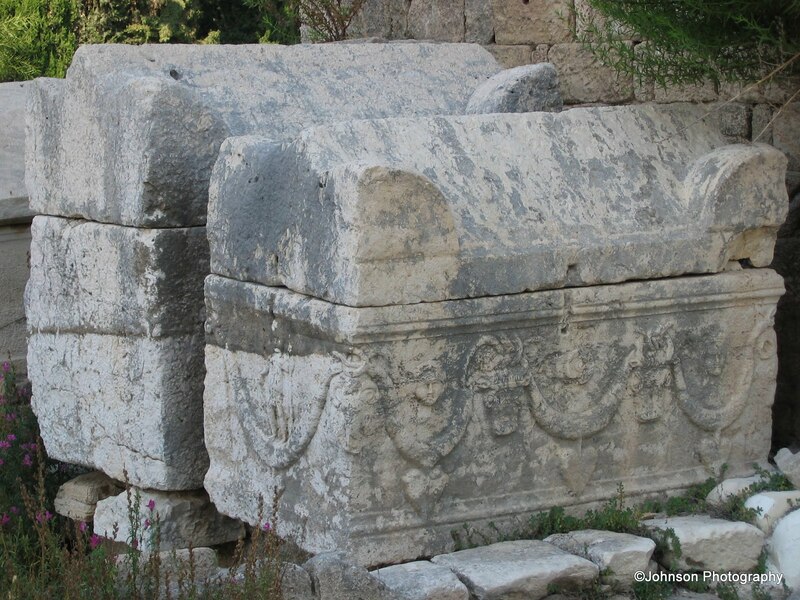 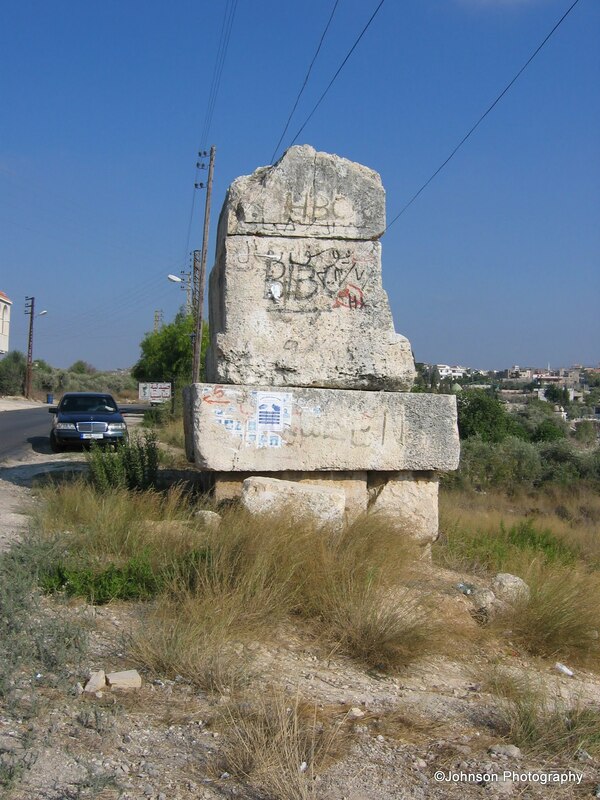 Below is the tomb believed to be of King Hiram of Tyre, which is a few kilometers away from the ruins and very close to the Israeli border. 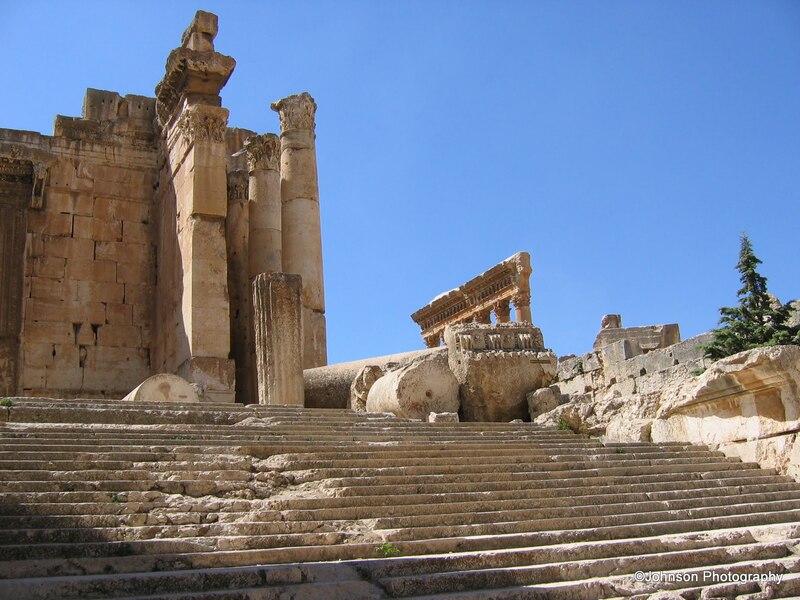 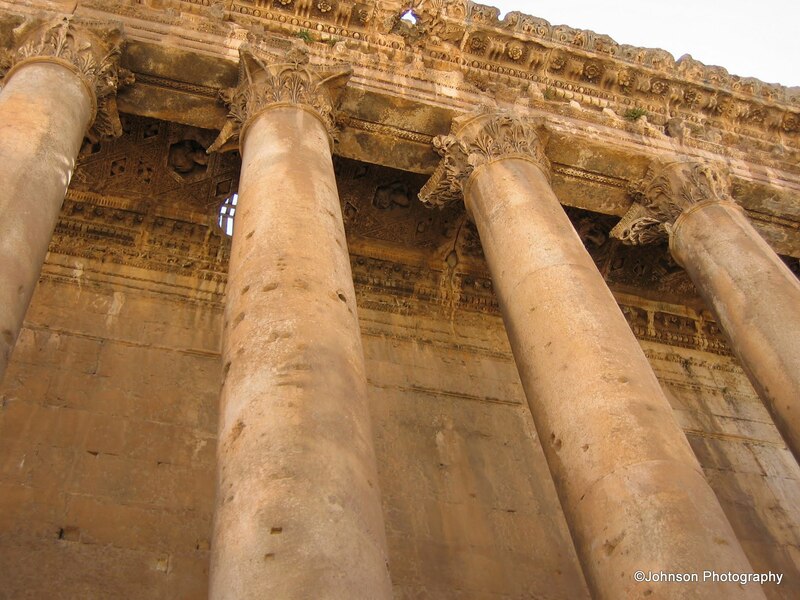 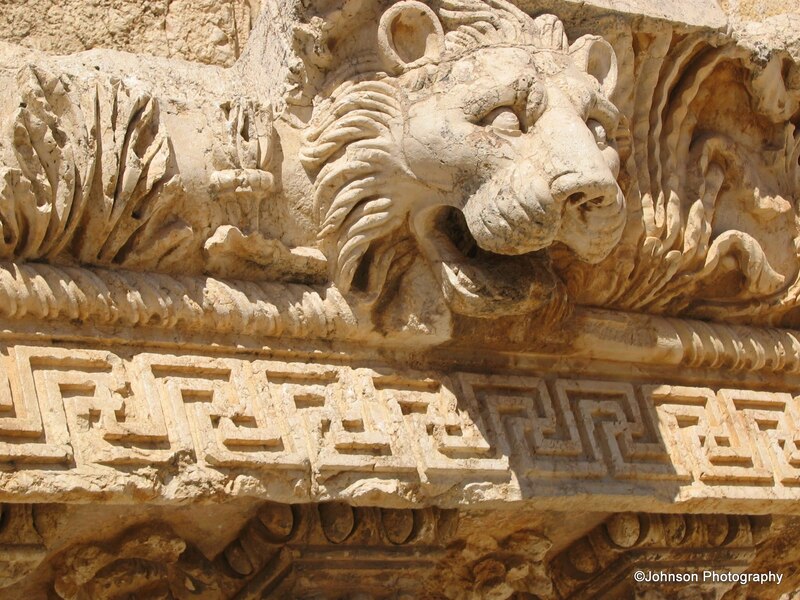 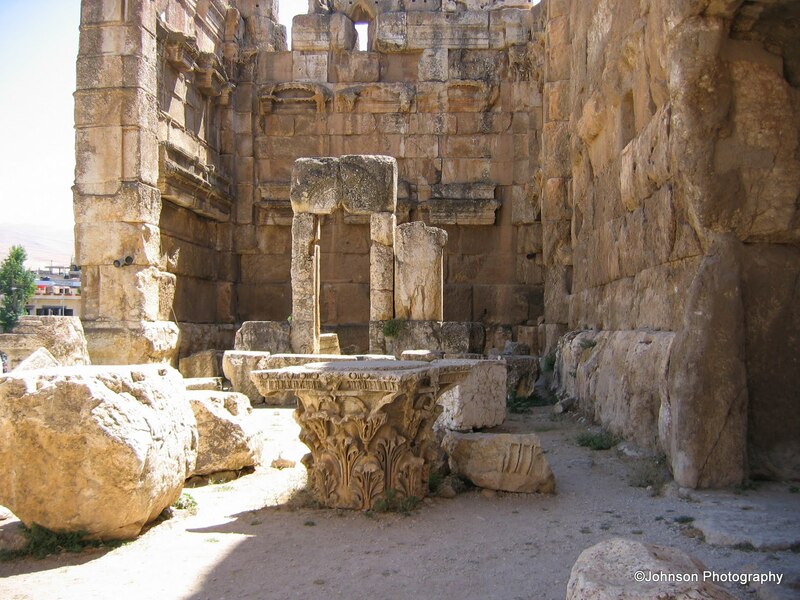 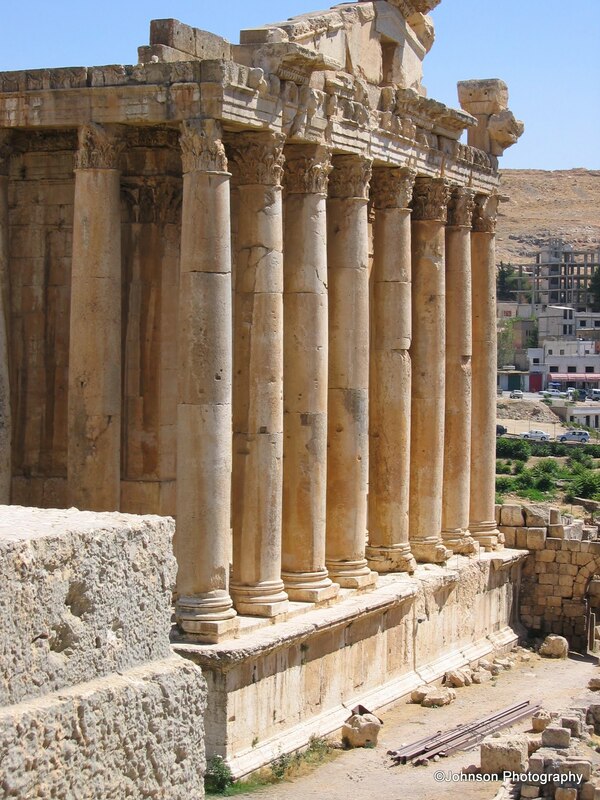 The city of Baalbek is an ancient Phoenician city located in the Anti-Lebanon foothills of Lebanon’s Beqaa Valley. 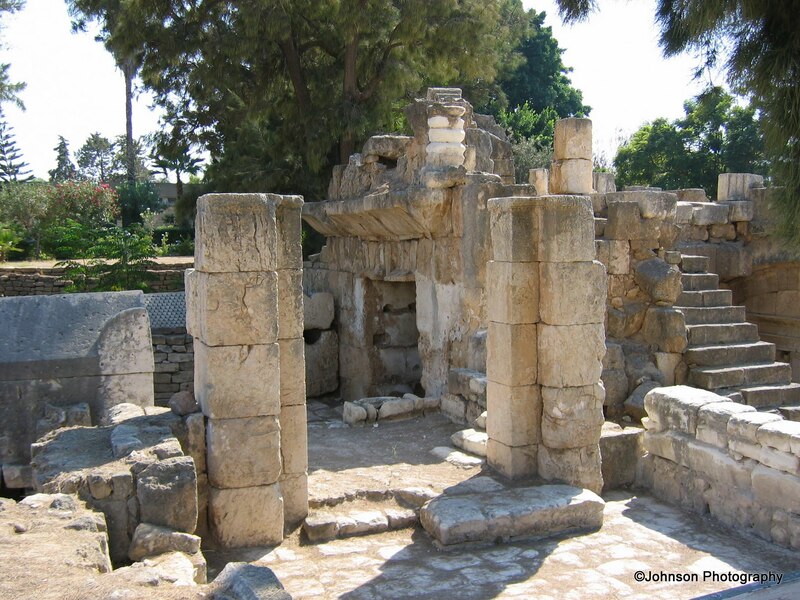 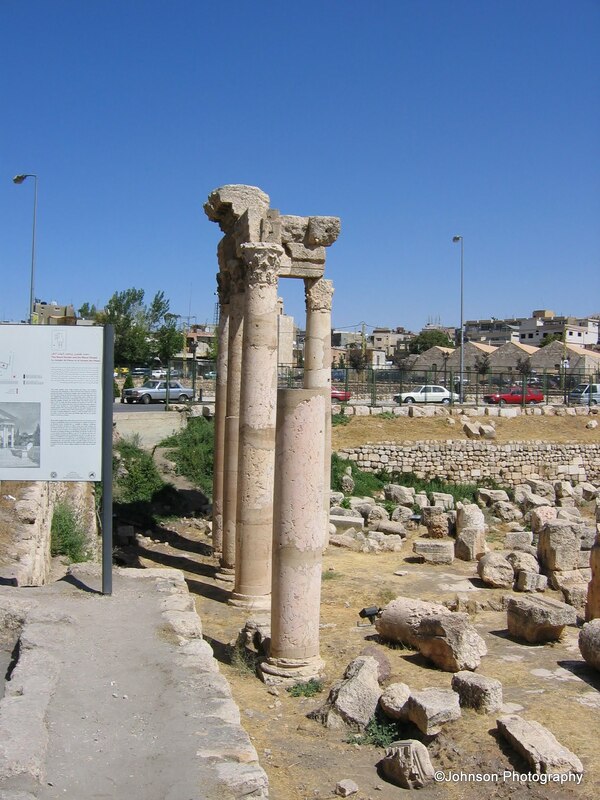 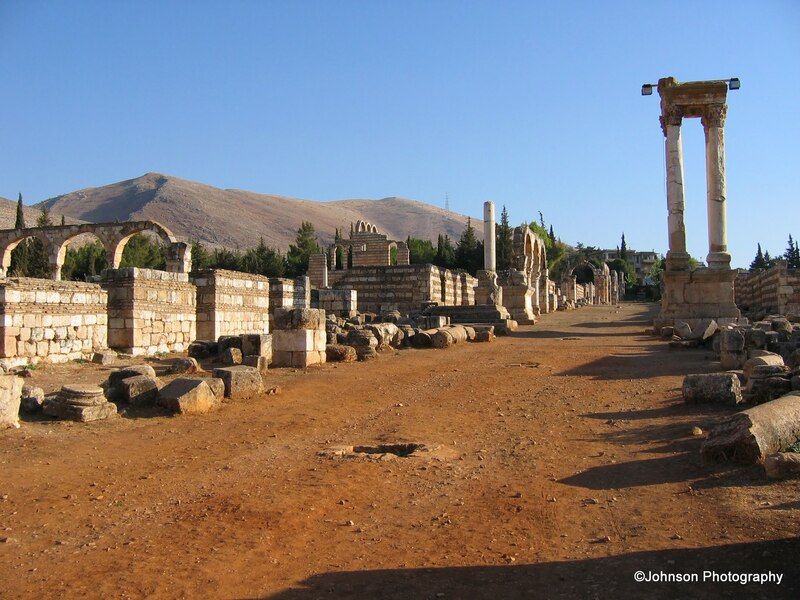 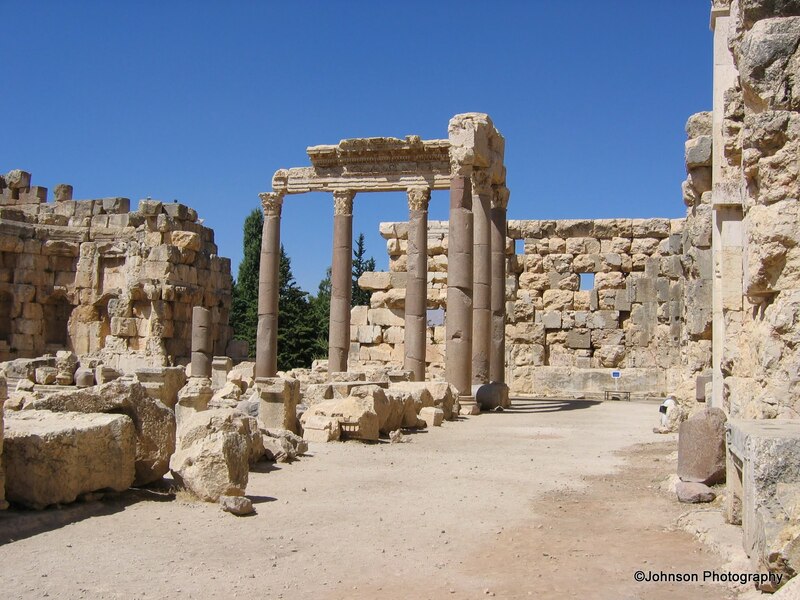 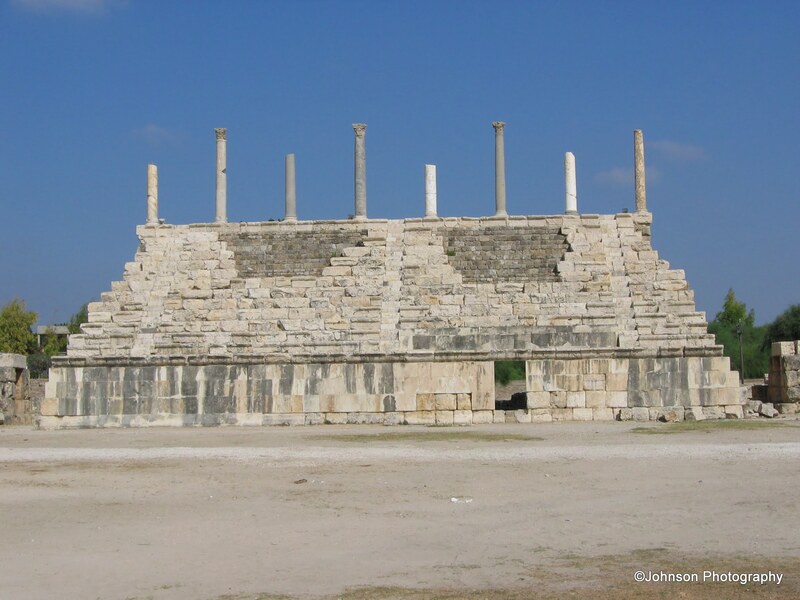 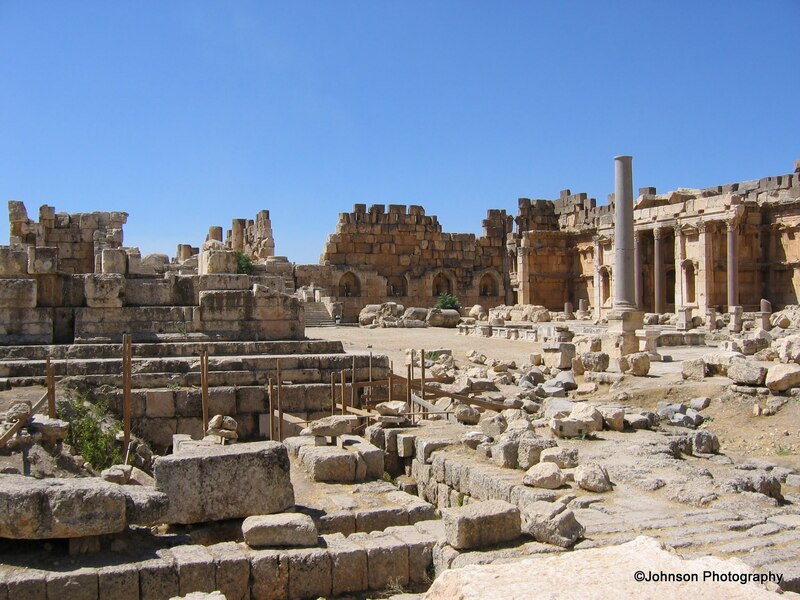 The grand temple at the centre of the city was dedicated to Baal, the Phoenician God of sky and Astarte, his consort. 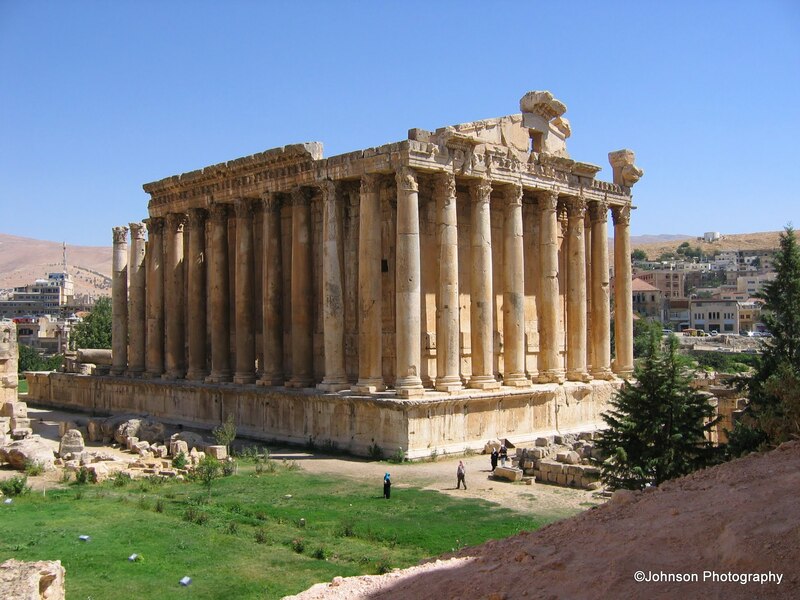 The name Baalbek, literally means Lord Baal of the Beqaa Valley. 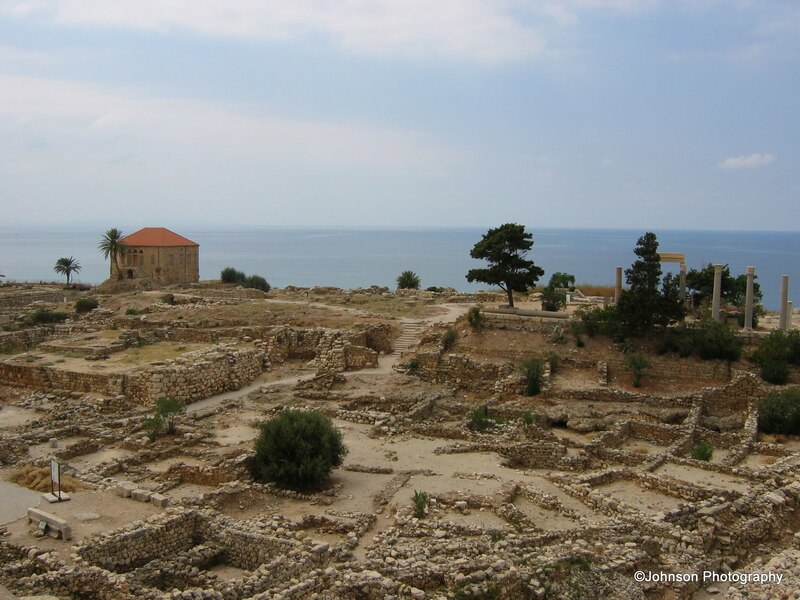 Later the city fell into the hands of Alexander the Great and then Pompey the Great and became a colony of the Roman Empire. 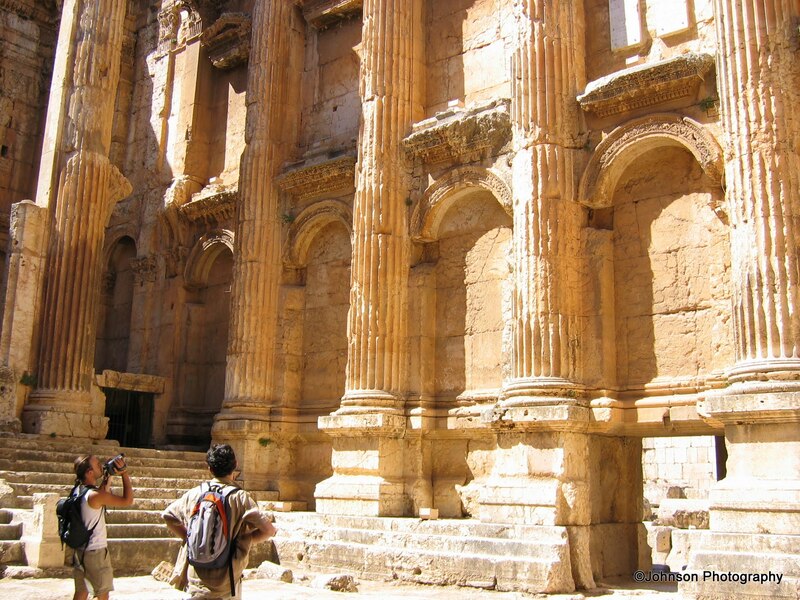 It is famous today for the complex of Roman temples, which are fine examples of Imperial Roman architecture. 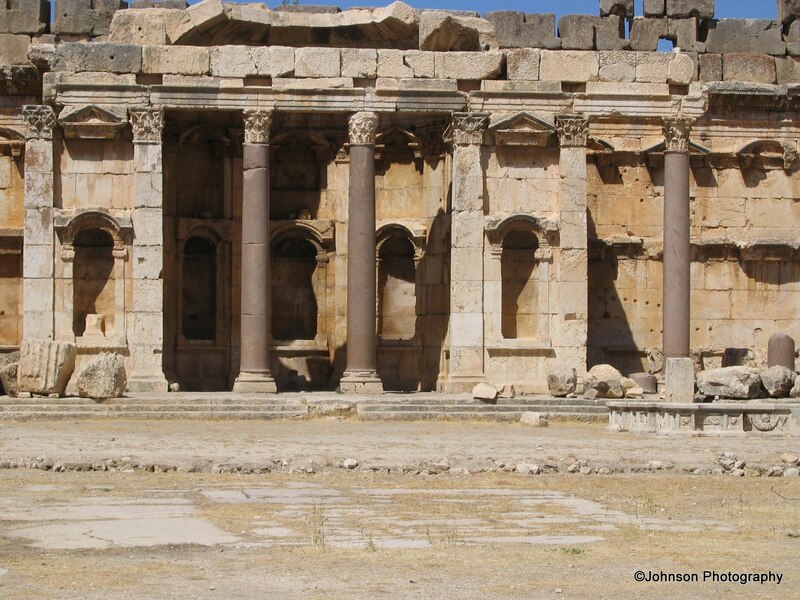 The Roman complex contains temples dedicated to Jupiter, Bacchus, Venus and Mercury. 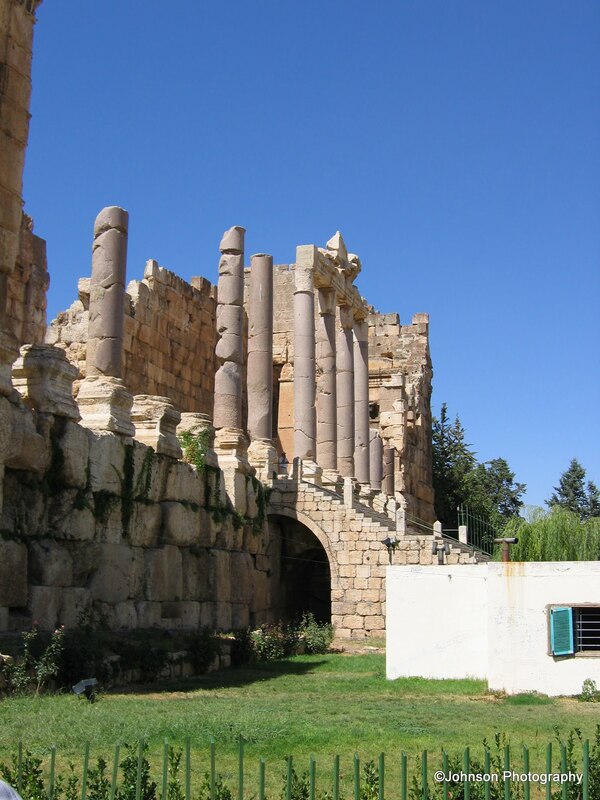 The temple of Jupiter rests on the ruins of the temple of Baal. 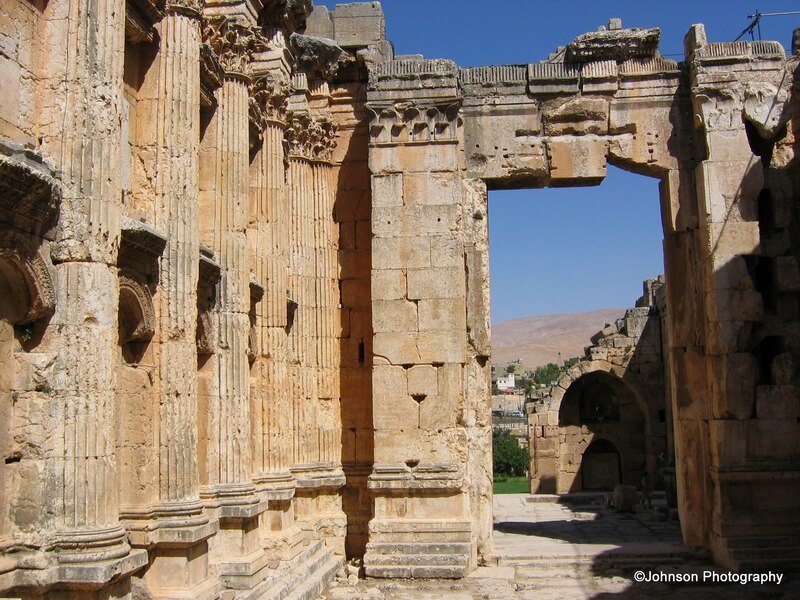 These temples survived the rise of Christianity by serving as places of Christian worship. 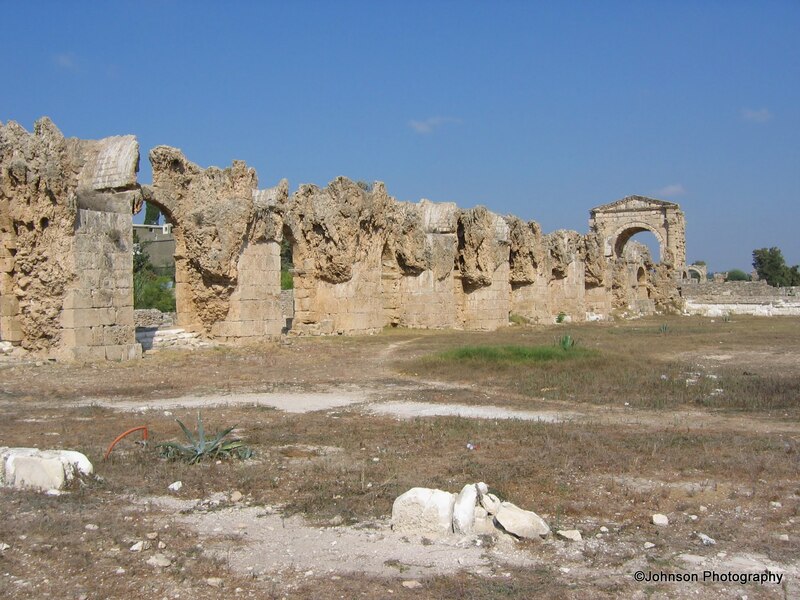 It further survived the reign of the Byzantine and Ottoman rulers and a series of earthquakes. 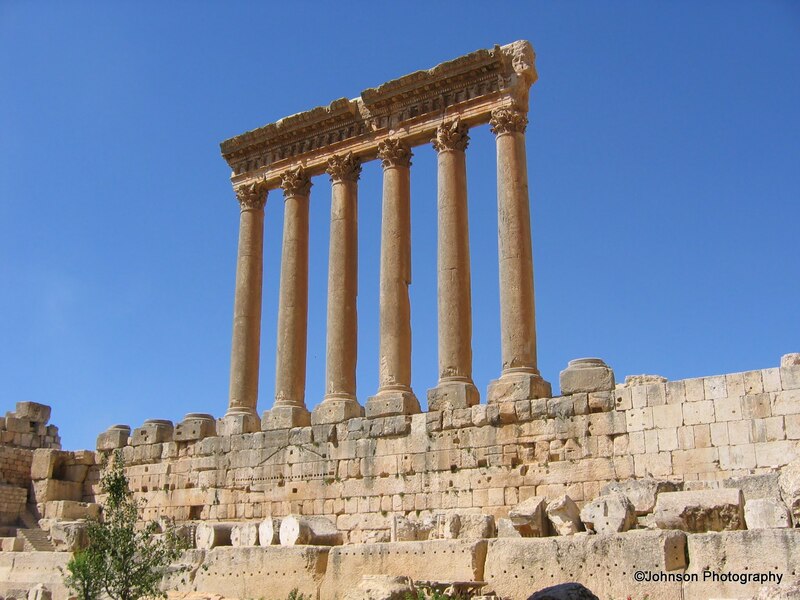 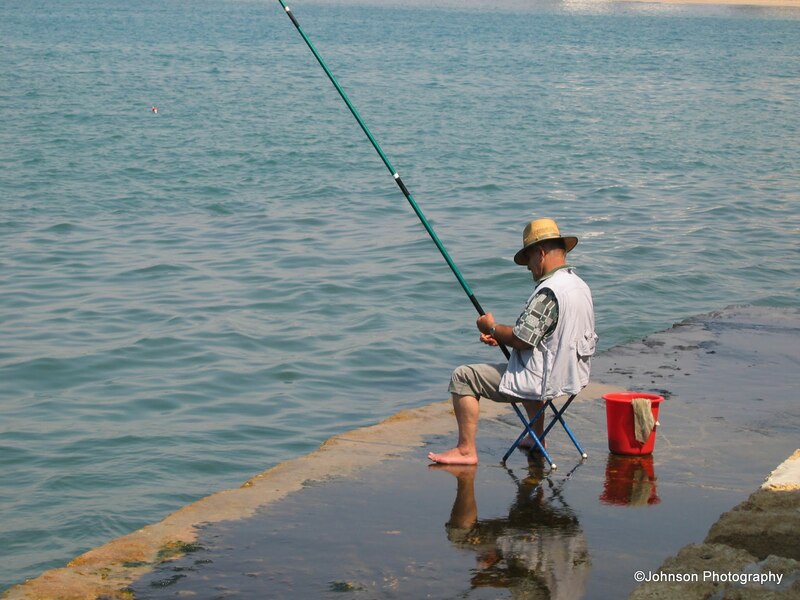 It was declared a UNESCO World Heritage Site in 1984. 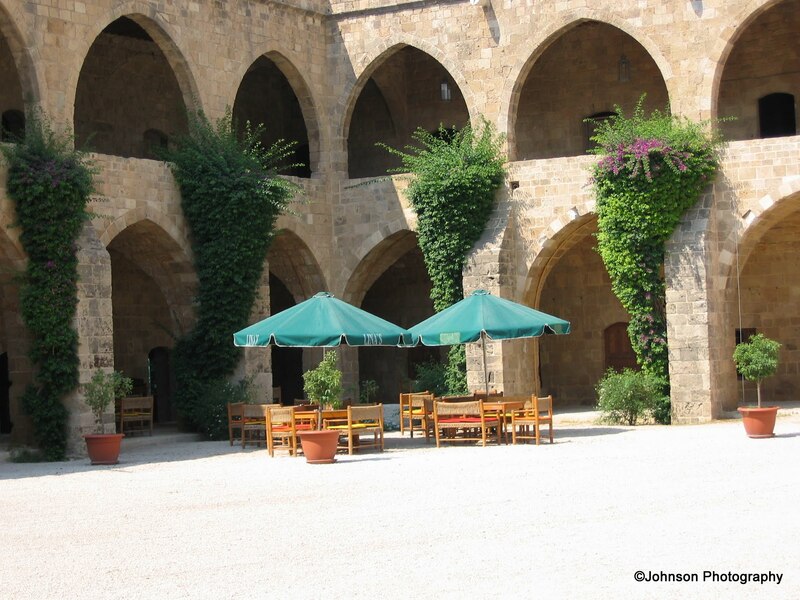 I made this trip to Lebanon almost a decade and a half back, but the heritage architecture and rustic charm of the place is still fresh in my memory. 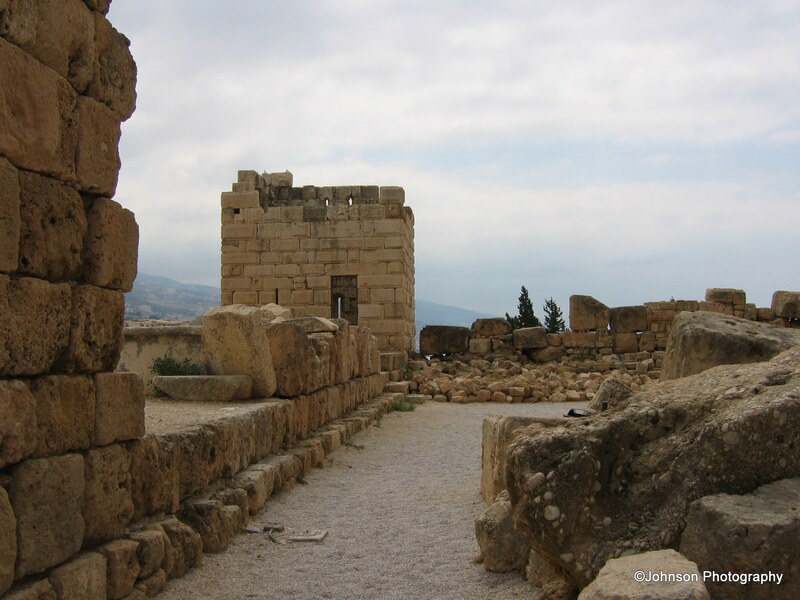 Lebanon has a rich history which is 7000 years old. 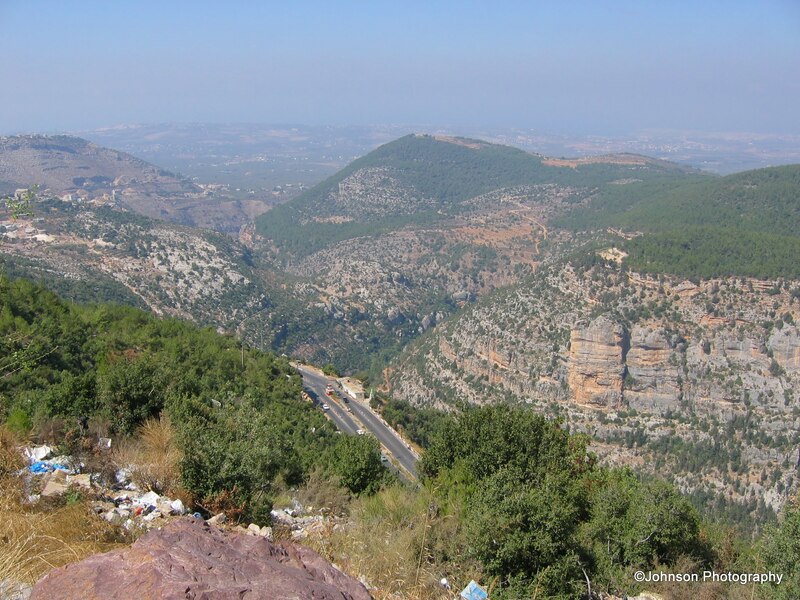 At the time of my visit, the Syrian Army were occupying some parts of Lebanon and we had to pass through numerous Syrian check-posts to reach these places. 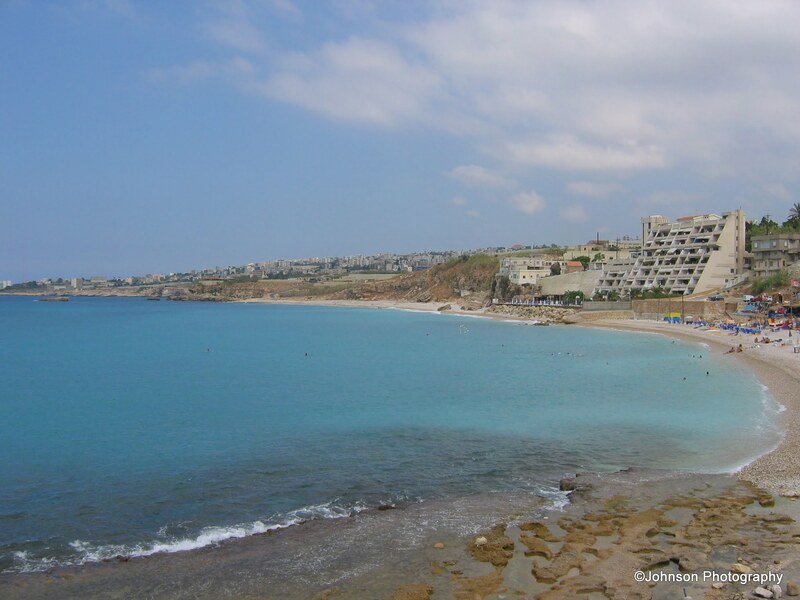 Within a year of my trip, the army had withdrawn and peace was restored. 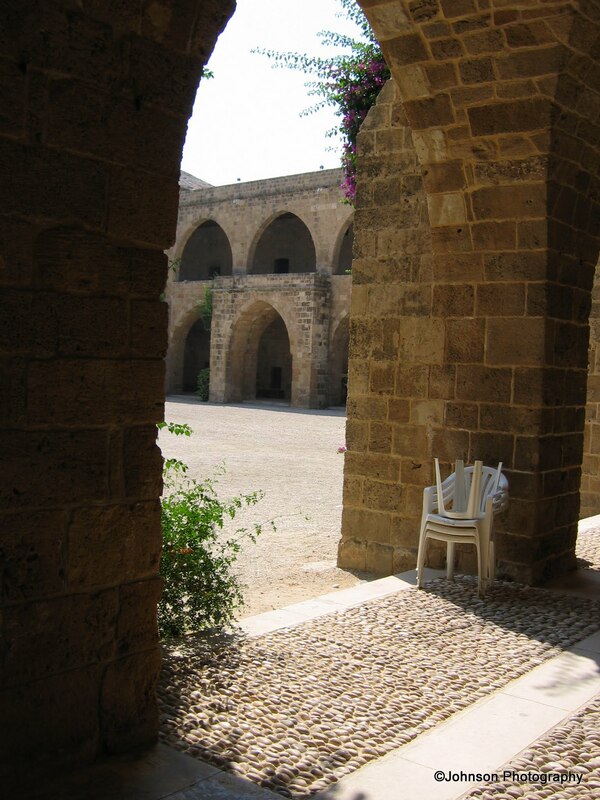 In this series I would like to take you through a tour of the timeless beauty that this country exudes. 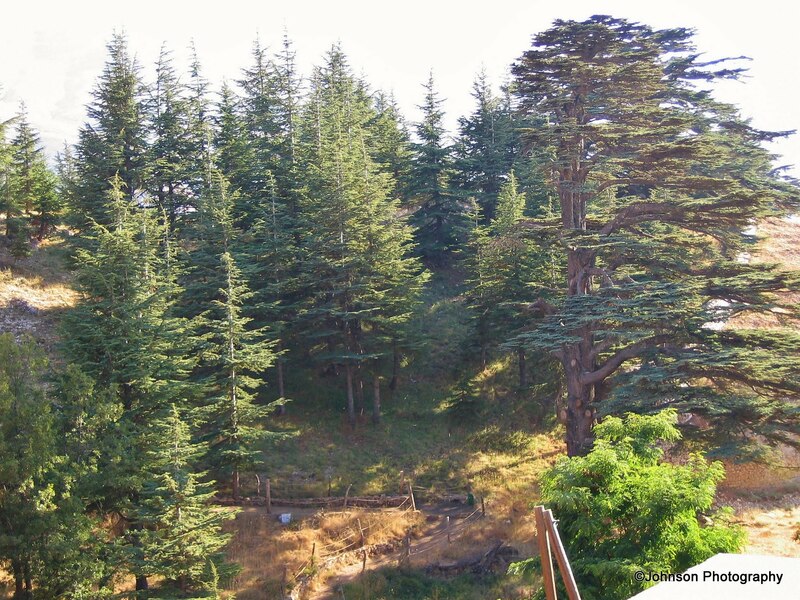 The Cedar of Lebanon or Cedrus Libani is a type of coniferous evergreen tree which can grow as high as 40 metres. 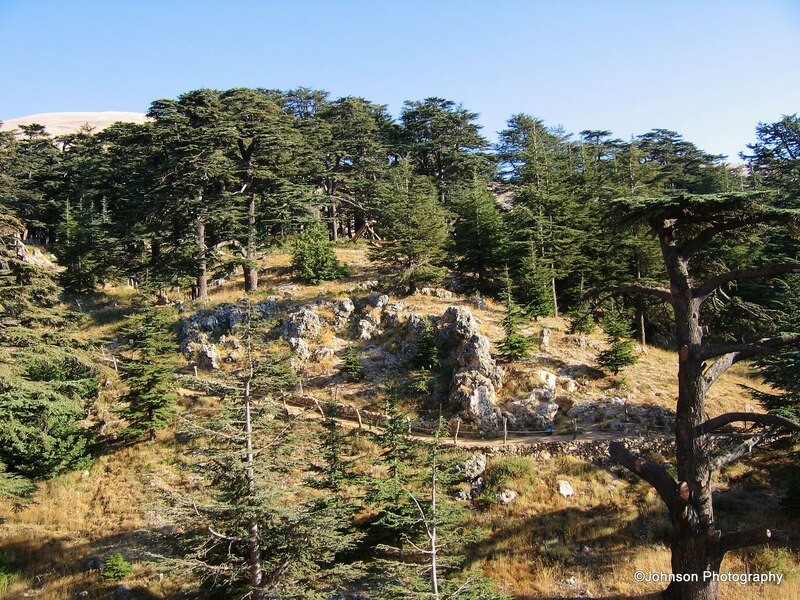 These colossal trees are native to the mountains of the Eastern Mediterranean region. 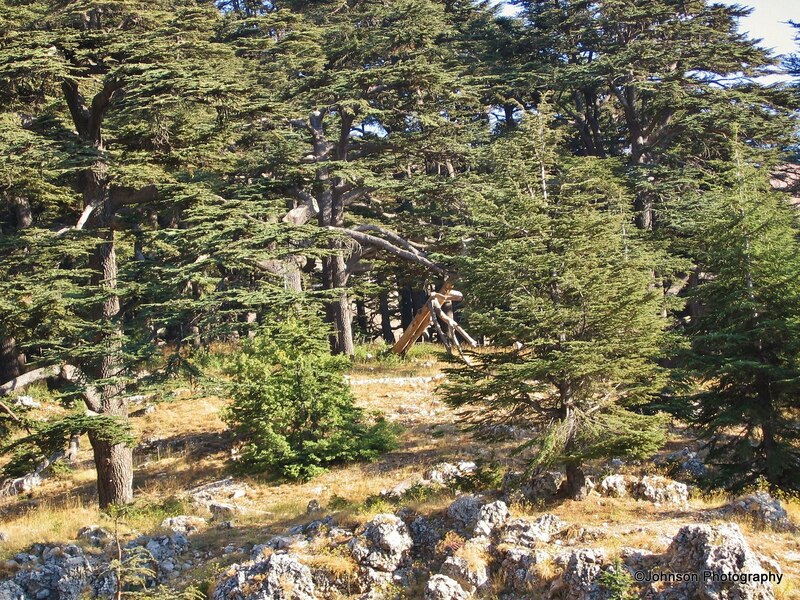 These forests are as old as the Roman Empire. 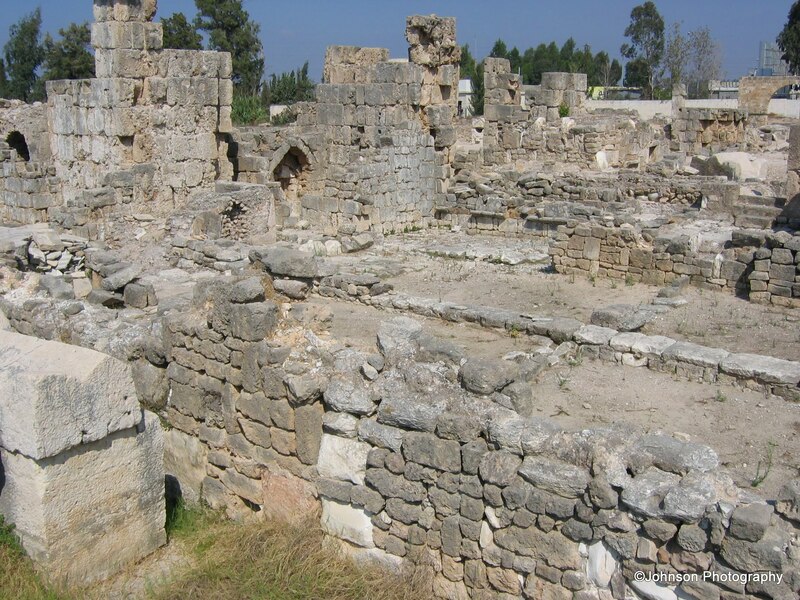 In fact, they were cut down to build palaces for the Roman Empire. 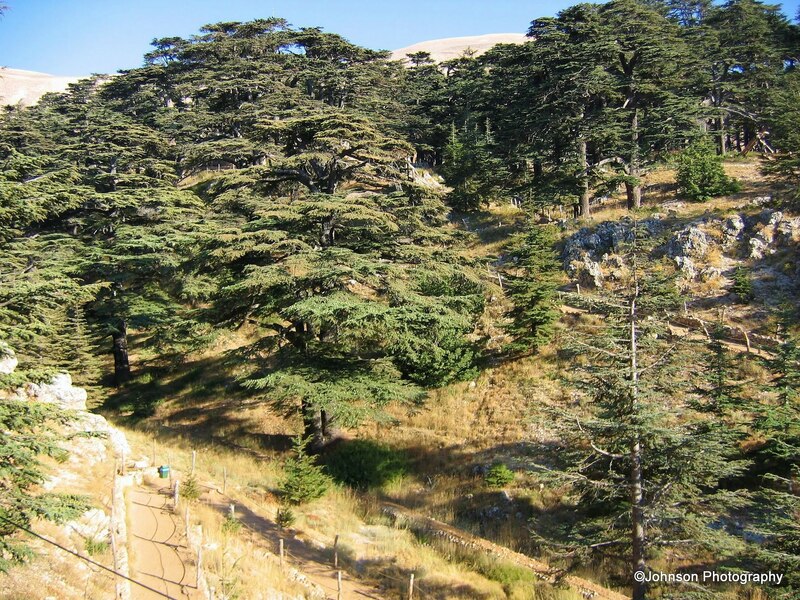 The massive Cedars of Lebanon also find reference in the Bible. 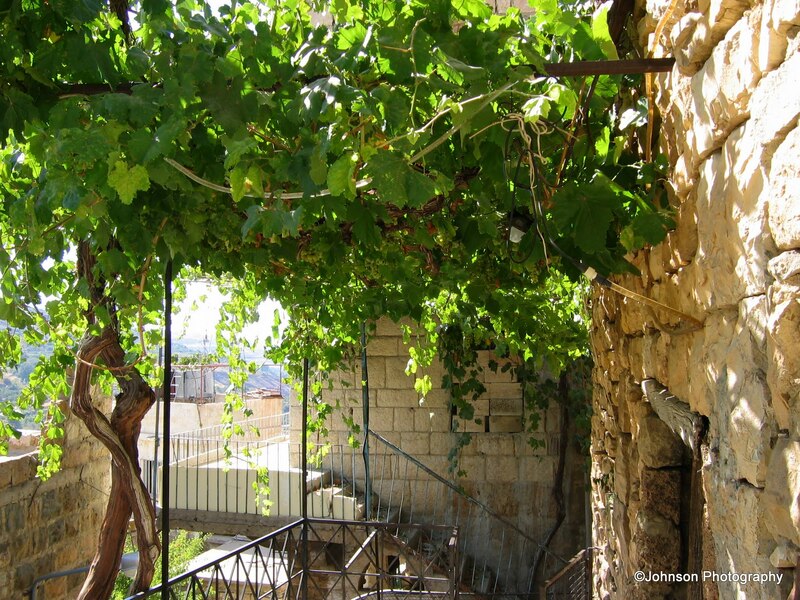 It is said that David built his palace and Solomon built his temple using timber from these trees. 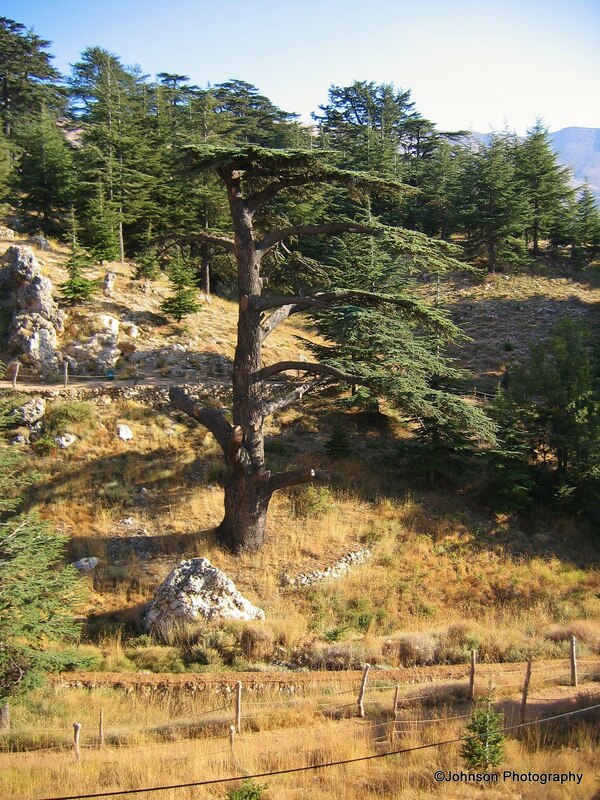 Furthermore, the Cedar is the national emblem of Lebanon and can also be seen on the Lebanese Flag. 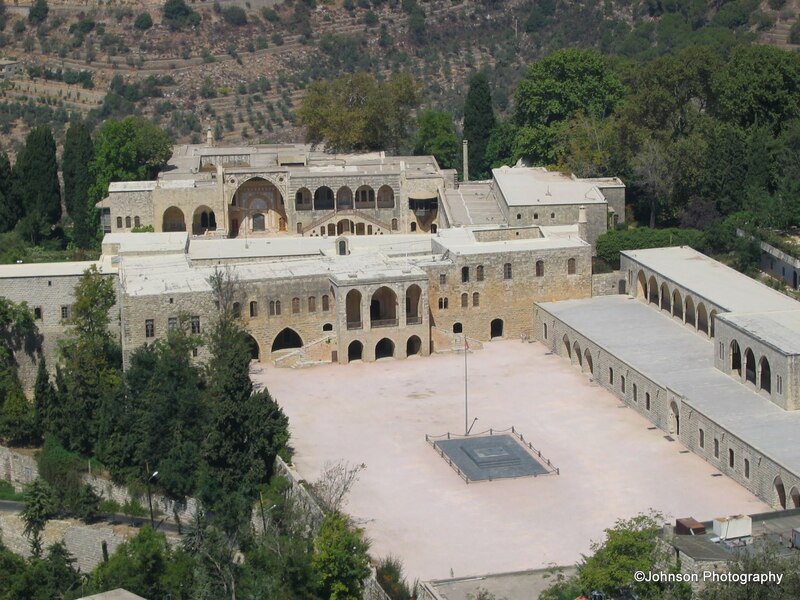 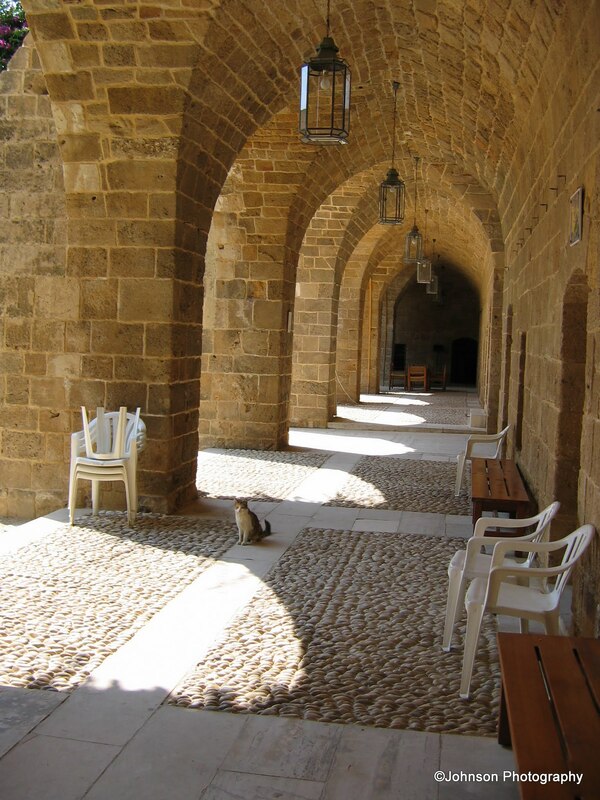 The construction of the Beiteddine Palace which began in 1806 took 30 years for its completion. 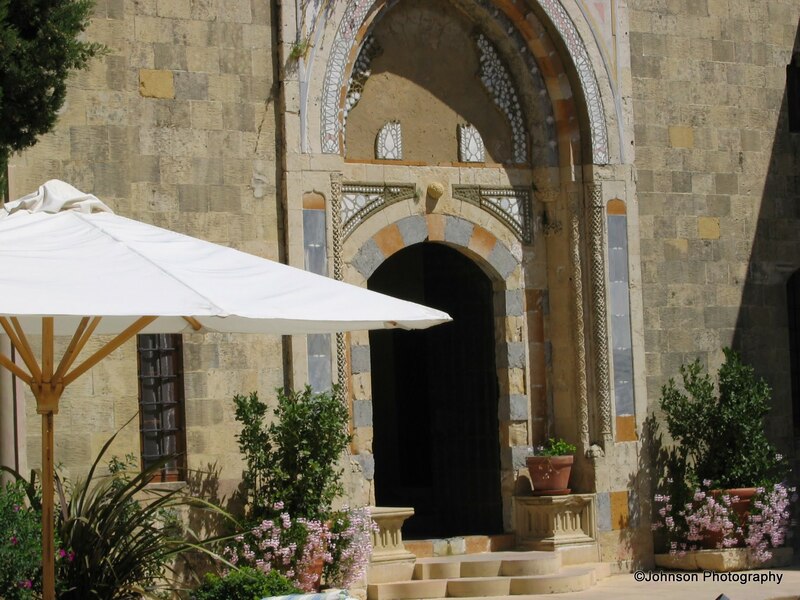 The palace boasts of beautiful arcades, courtyards and carved cedar wood ceilings. 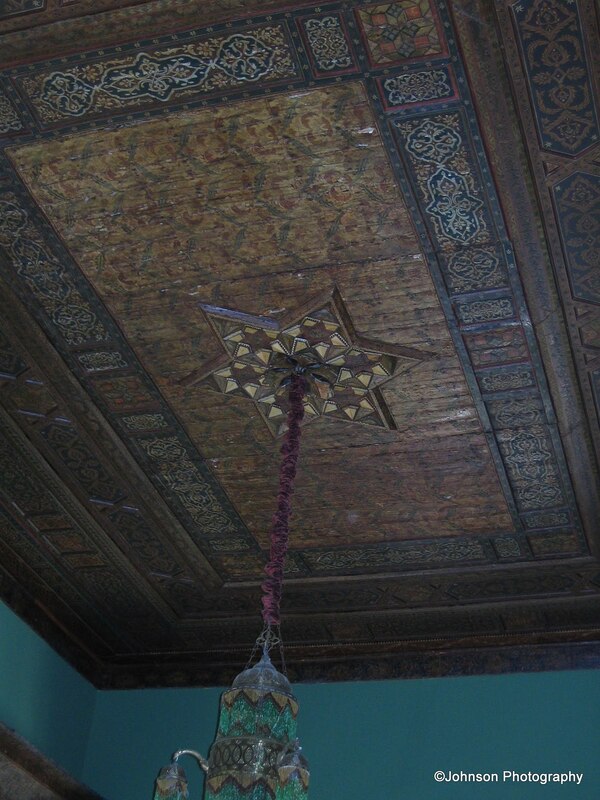 It was the residence of Emir Bashir Shahab II till he was exiled to Turkey in 1840 by the Ottomans. 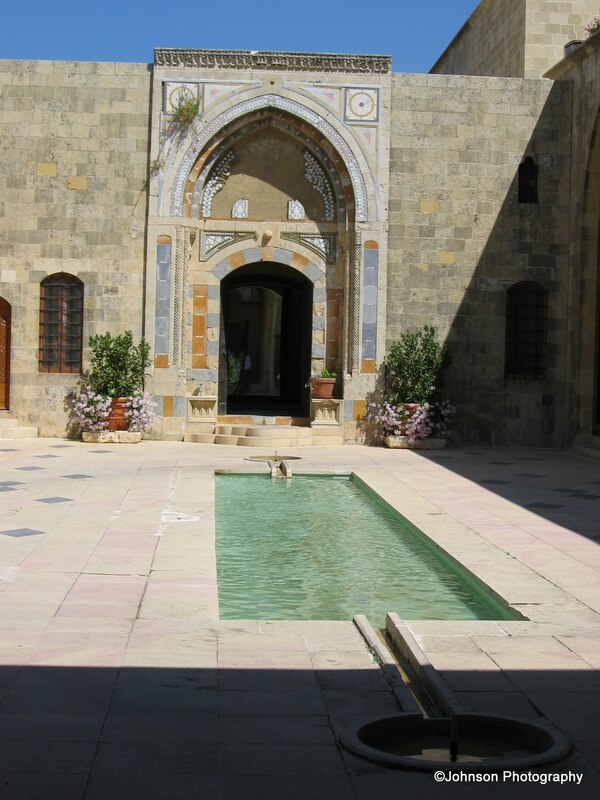 It contains the tombs of Emir Shahab II and his wife. 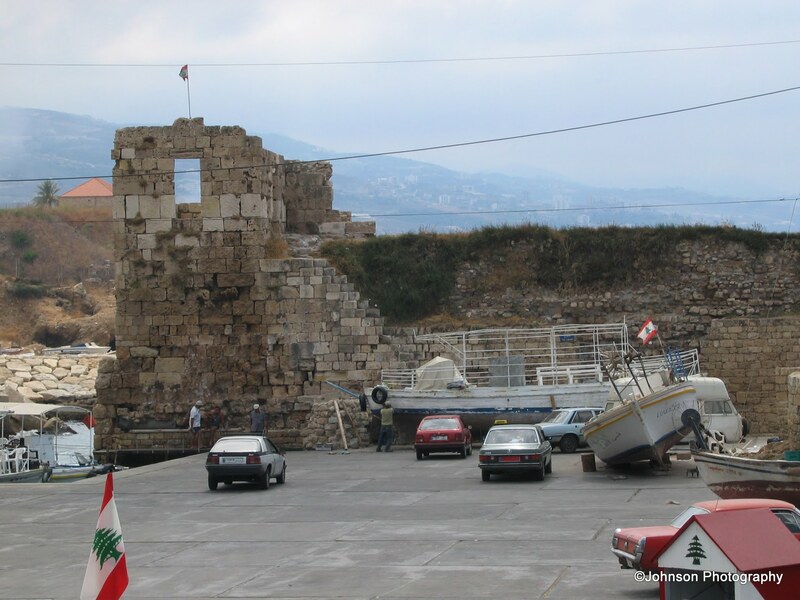 The original palace was destroyed after the Israeli invasion and the structure as we see it today, was renovated in 1984 by Walid Jumblatt. 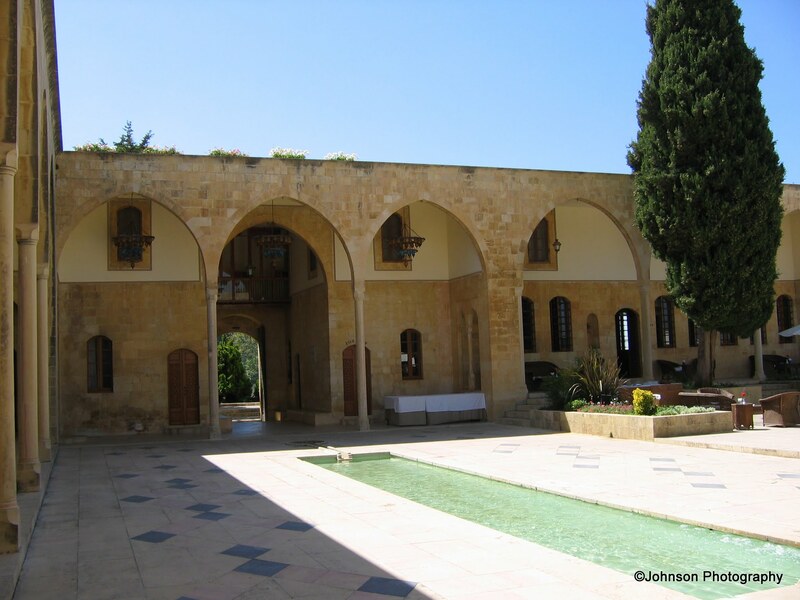 The Betidienne Palace currently serves as the summer residence of the President of Lebanon.